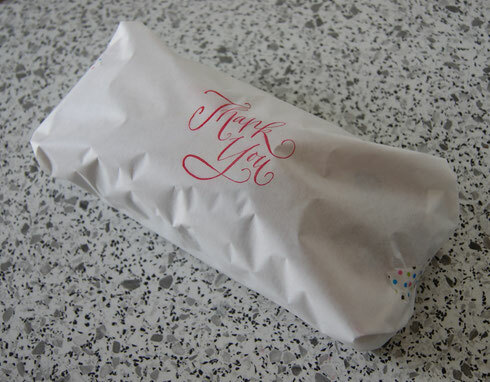 How do you like to say thank you for help moving boxes or last-minute babysitting or fixing your flat tire? 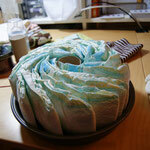 I like to bake something if I have time. 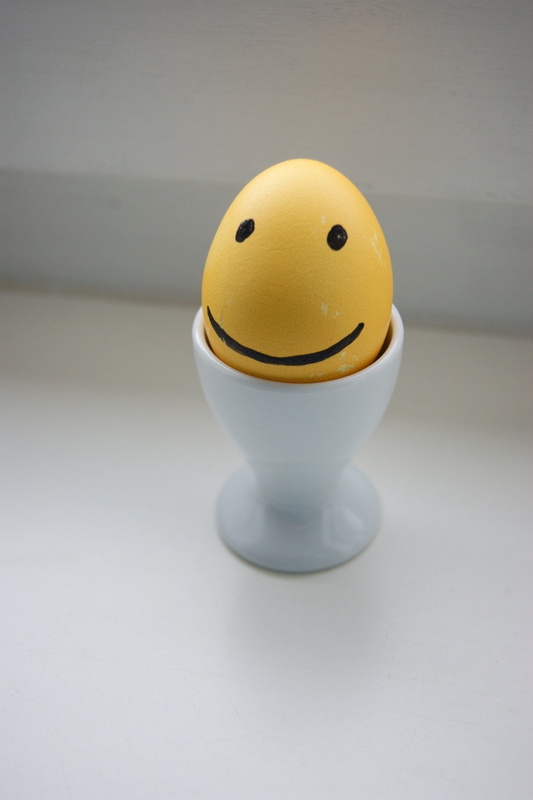 It's more personal than a bottle of wine and people usually seem pleasantly surprised. 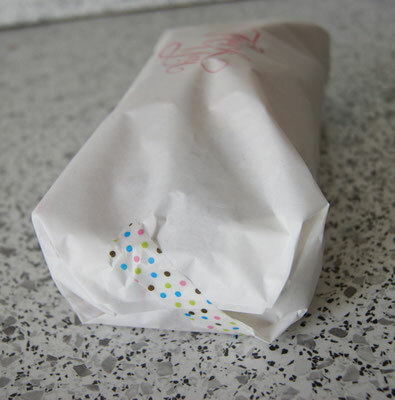 Baking something is nice, but presenting it neatly wrapped is even nicer. 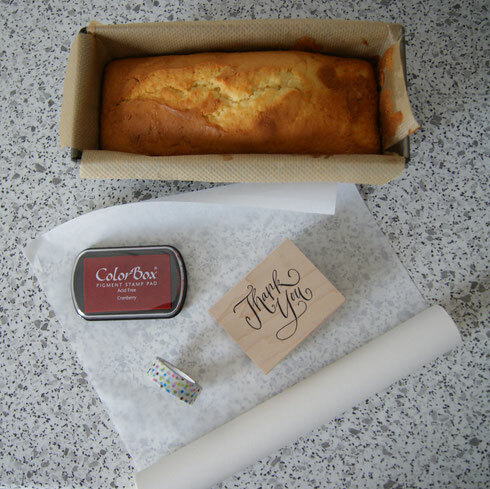 To decorate my lemon bread all I needed was some white freezer paper, a nice stamp and inkpad, and some washi tape. A stamp, a wrap and a bit of tape on the sides, and that's all! 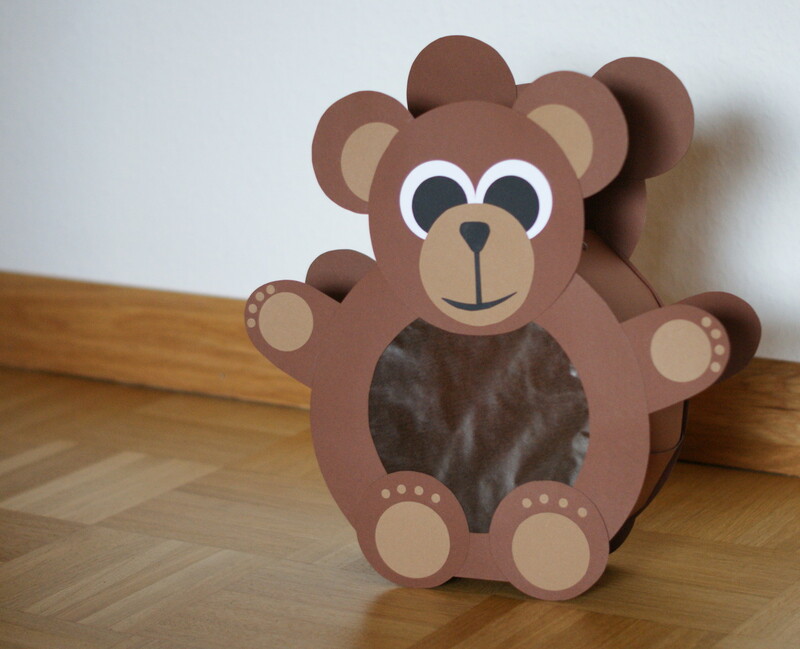 While perusing Pinterest for nursery decorating ideas, I stumbled across this sign. 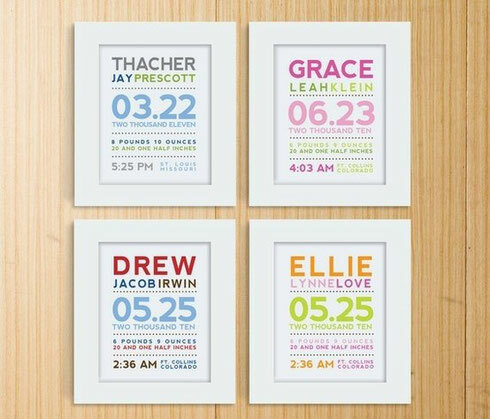 It's such a cute idea, and I love that it is not only personalized specifically for your baby, but you can use the bright, fun colors to complement your decor! 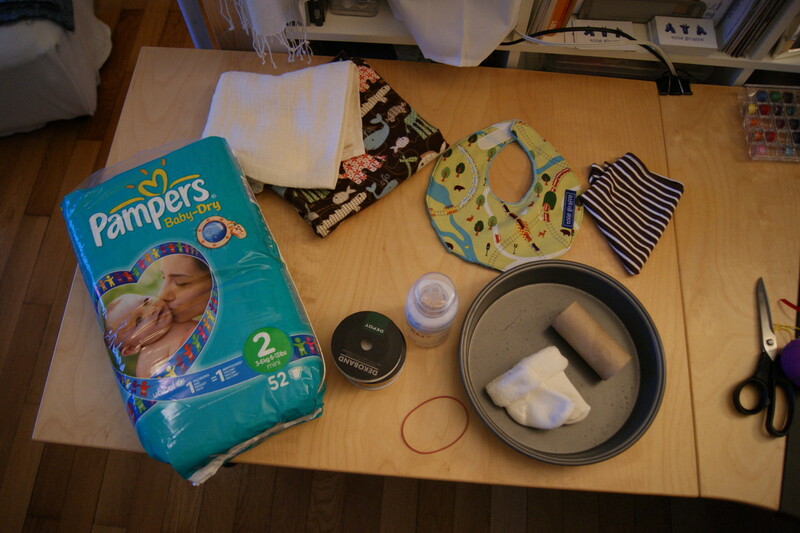 As with most Pinterest finds, I set about making it myself. 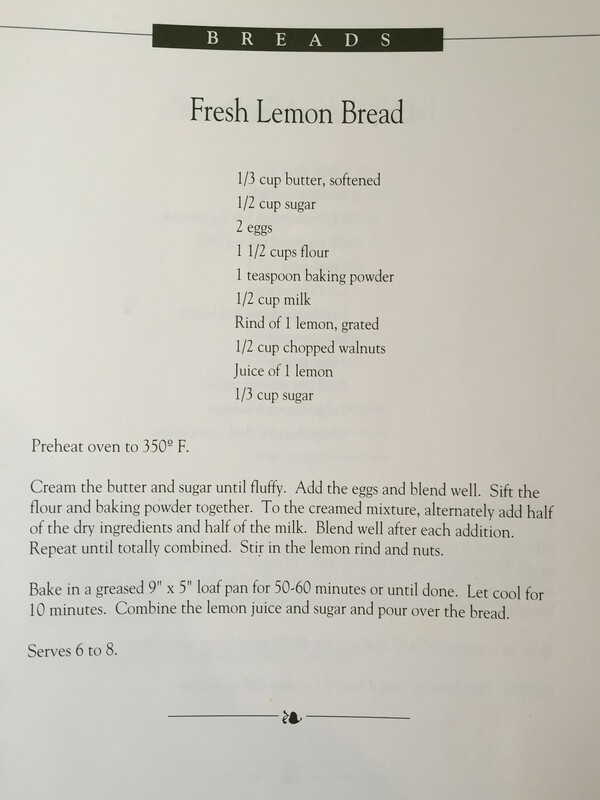 This blog gives a pretty good description of how to use Microsoft WordArt, and after fiddling around with it for about a half hour, I came up with a couple of nice versions of the sign. 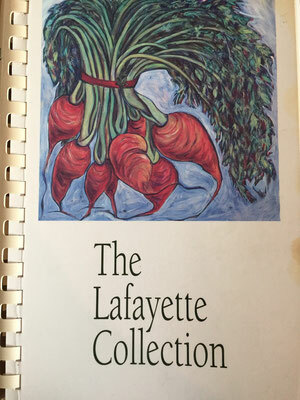 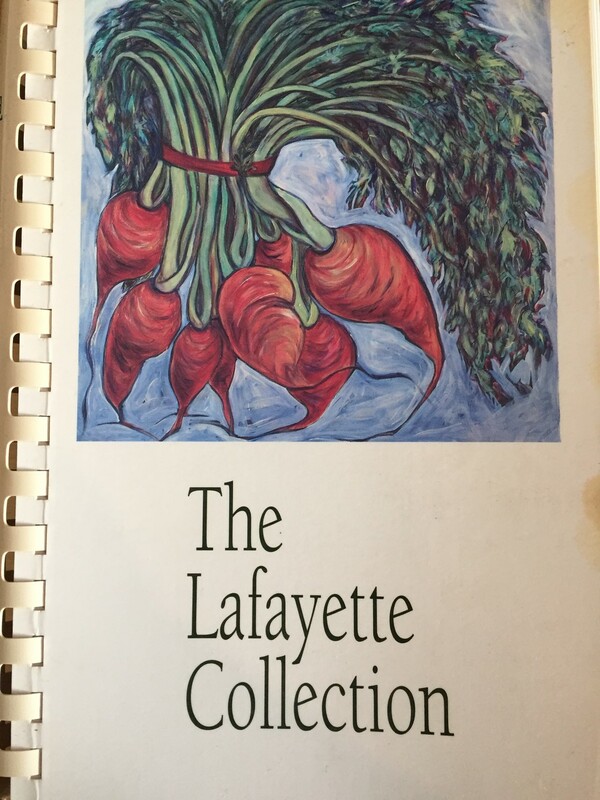 The Word docs can be downloaded below. 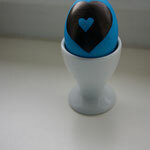 If you want to personalize one like this, just right-click on each word and select Edit Text to change the name, etc. 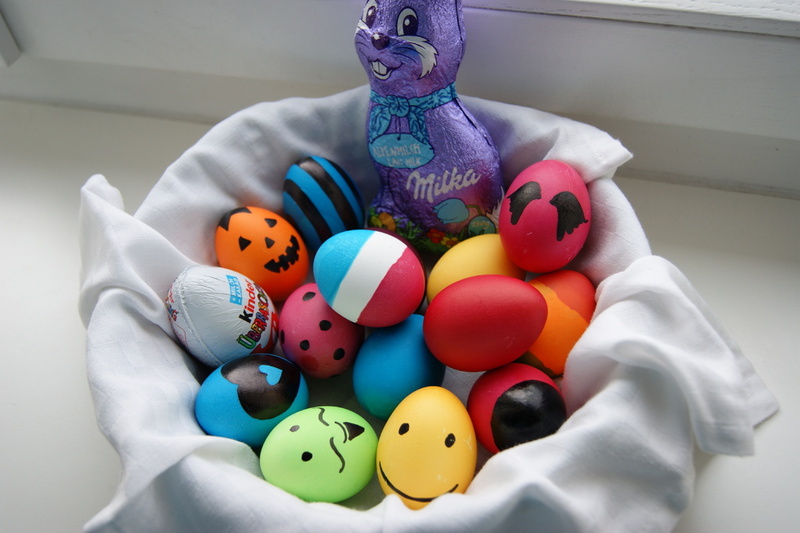 If you want to change the colors, right-click the word and select Format WordArt. 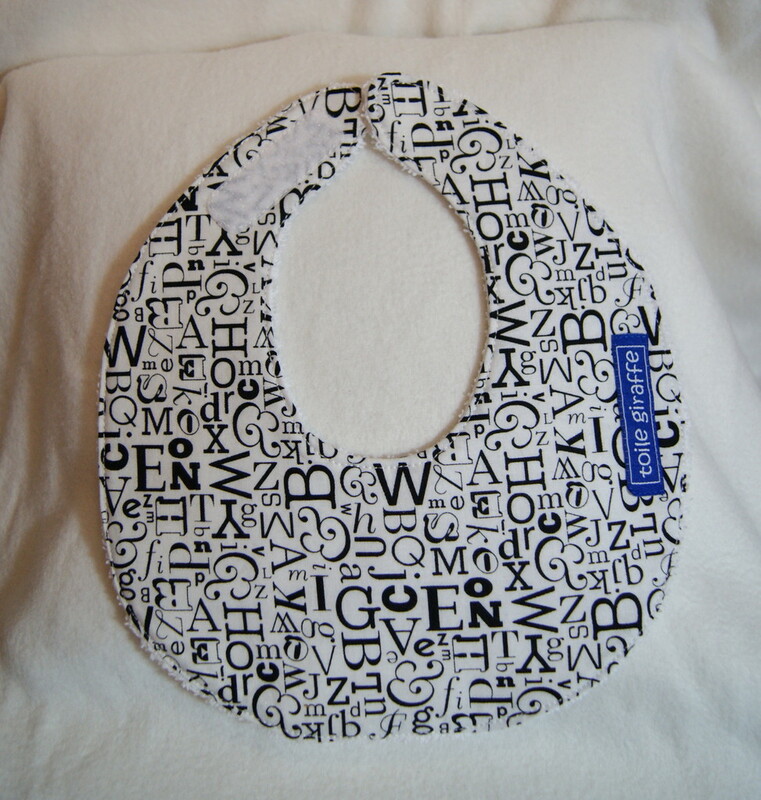 Put a mat around one and stick it in a frame, and these signs make great gifts! 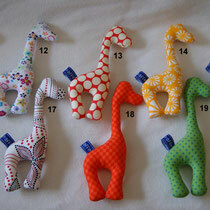 New Giraffes in the Shop! 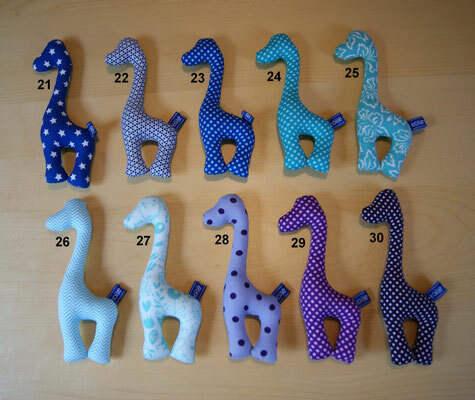 Please join us in welcoming our new herd of baby giraffes! 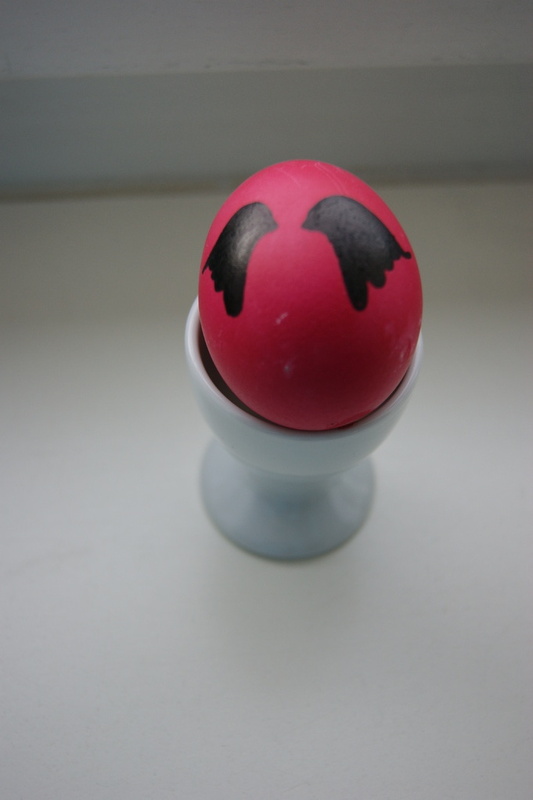 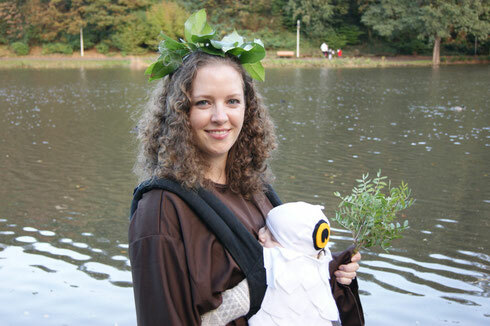 November 11th is St. Martin's Day here in Germany, and my daughter and I both just celebrated it for the first time! 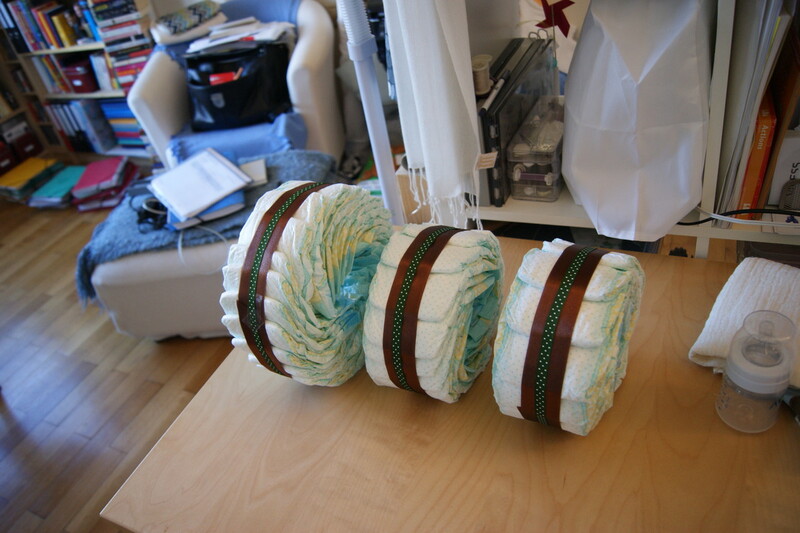 Everyone informs me that the St. Martin's lanterns are an absolutely essential part of the traditional parade, and I'm supposed to make it myself. 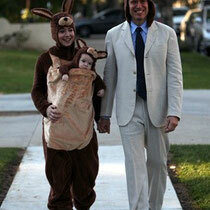 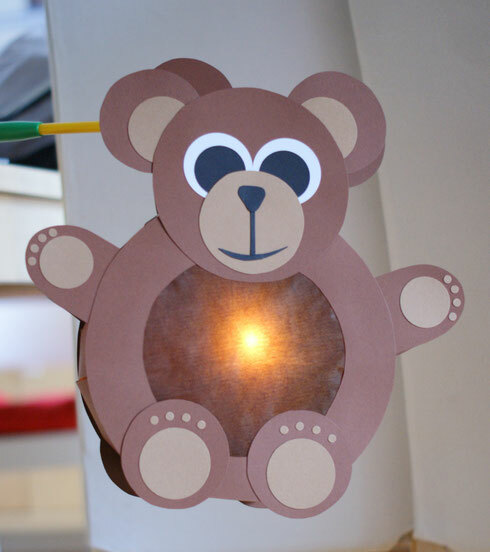 I did a lot of research on the internet (what on earth does a St. Martin's lantern look like?) 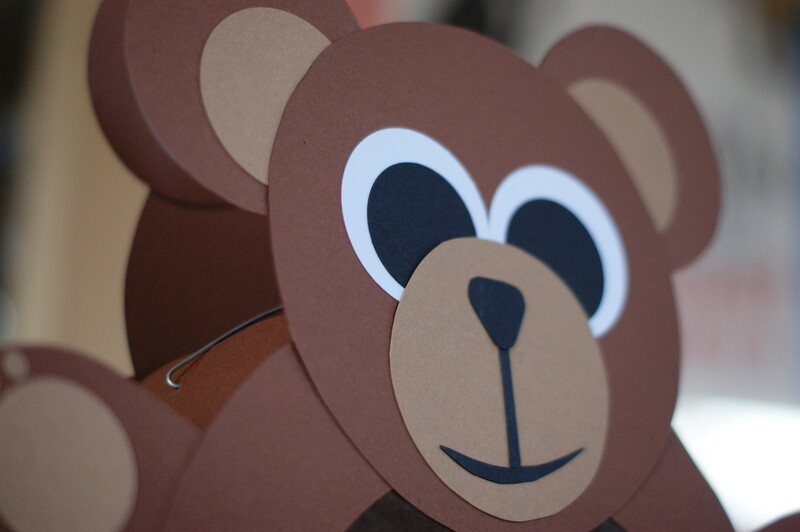 and then attacked the construction paper. 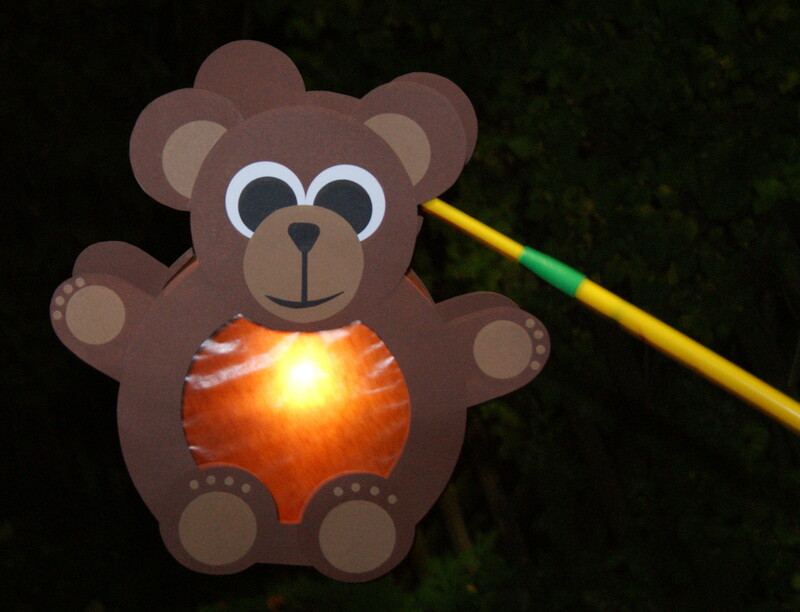 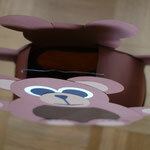 My daughter is currently obsessed with her teddy bear, so we dedicated her first lantern to him. 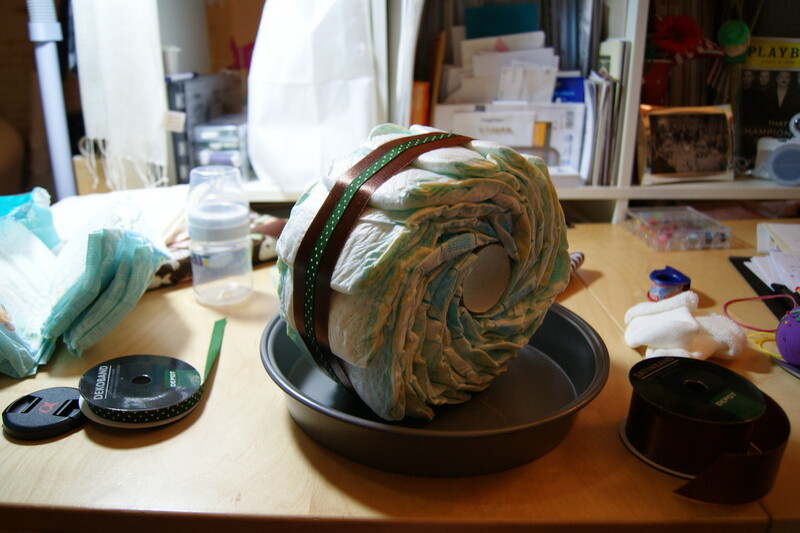 It was really pretty easy, just a bunch of circles of varying sizes glued together. 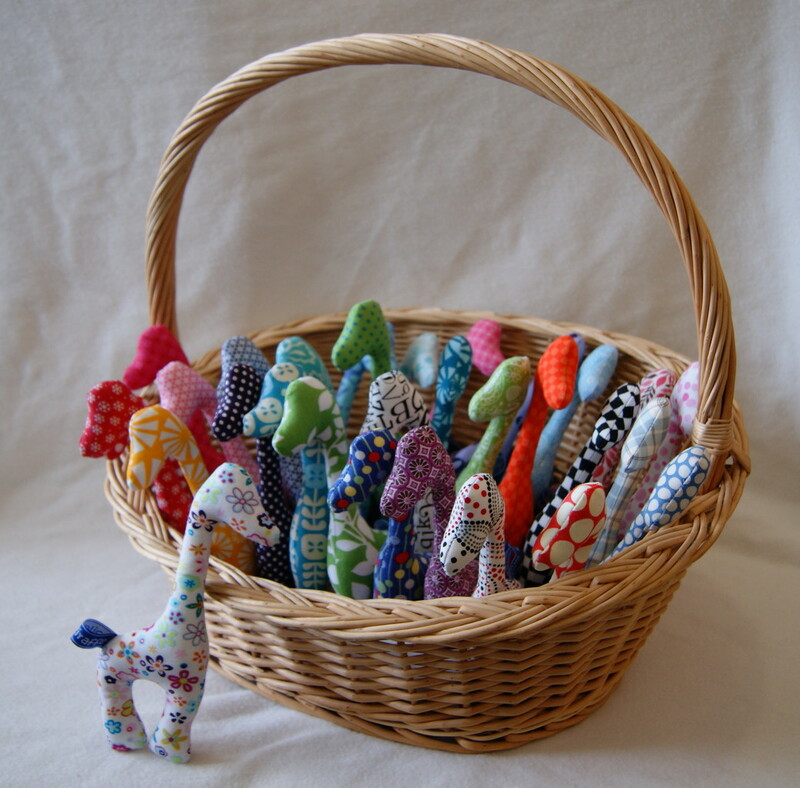 All you need is several cups and bowls to trace around (and some hole punches if you have them), then some scissors and a glue stick. 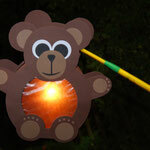 I also used a bit of wire to make a hook for the light-stick thing they sell all over the place here, and some wax paper at the craft store. 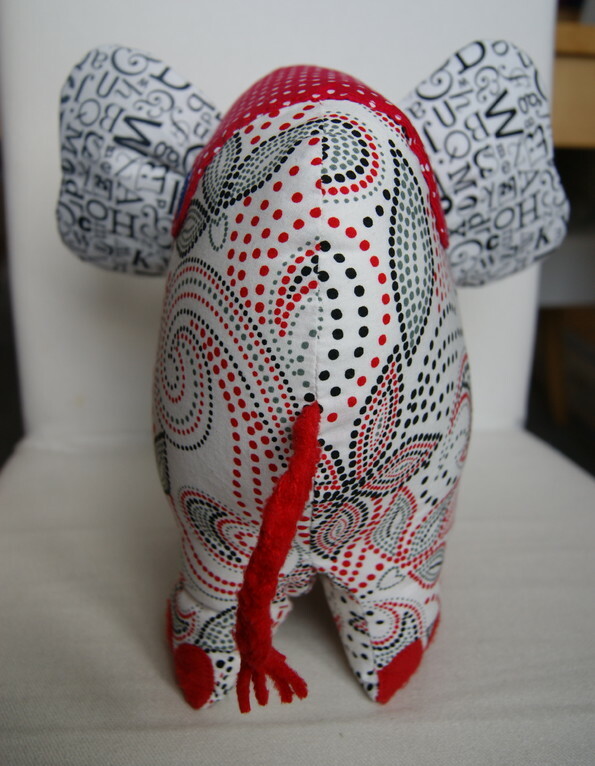 After an episode of The Black List and a glass of wine, I was done! 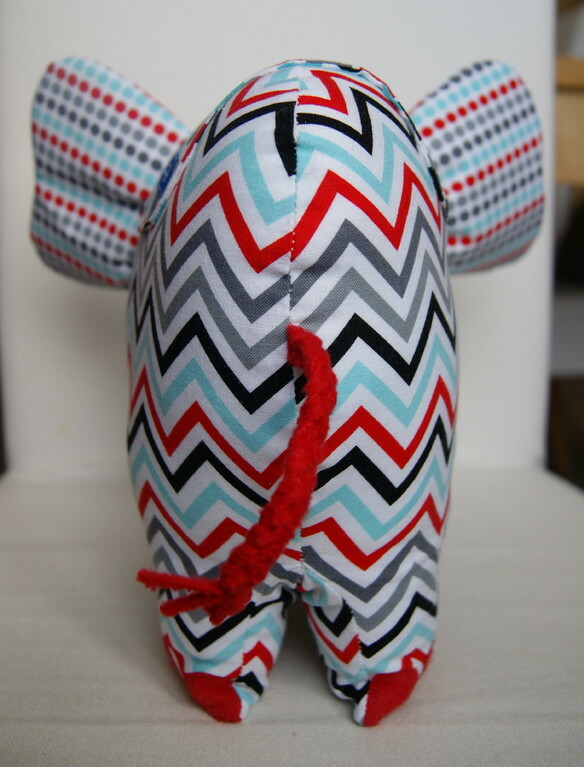 Of course it's not perfect; I noticed later that the two sides were not perfectly lined up, which is pretty obvious in the pictures but not a big deal. 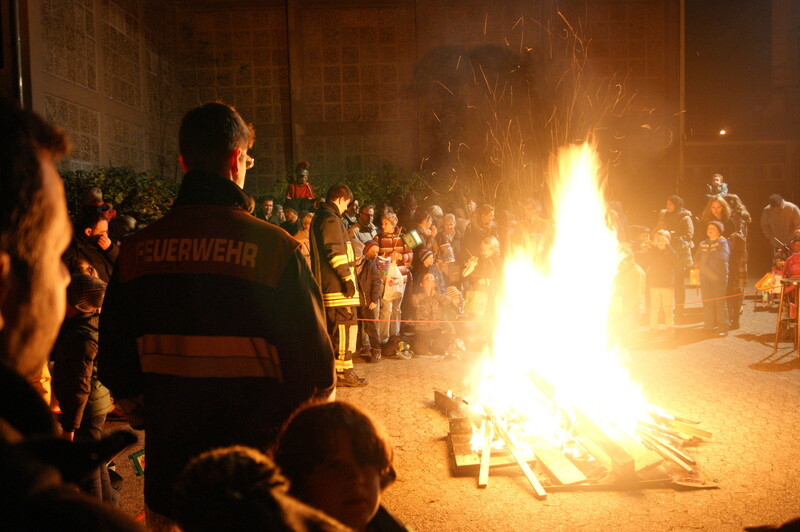 The important thing is we had a lot of fun walking in the parade, and then enjoying hot mulled wine and St. Martin's sugared pretzels afterward at the bonfire! 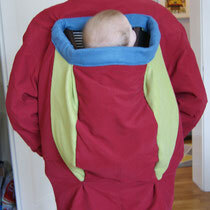 My friend Jessica introduced me to the idea of babywearing coats, and I'm intrigued! Especially now that the weather is getting colder, I've been wishing I had a huge poncho to wrap around both of us or just a really big jacket. 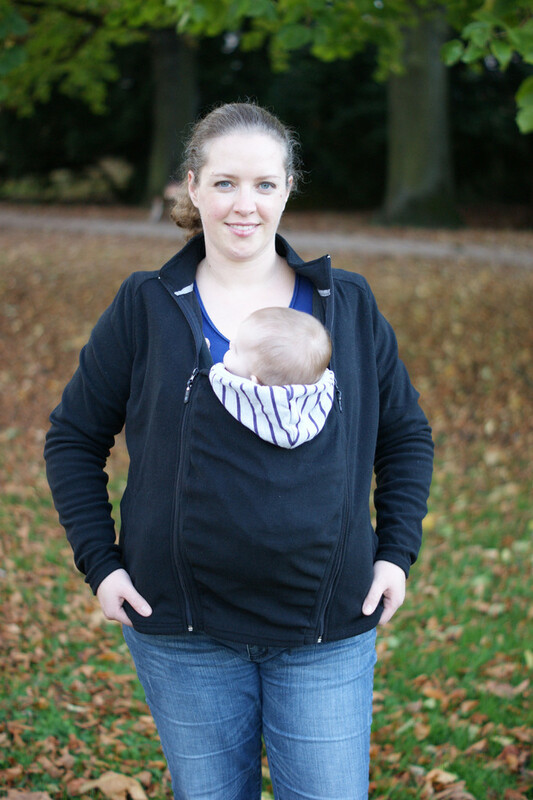 There are lots of different babywearing coat styles available, both for front-carriers and back-carriers, but they're super expensive, so we thought we'd take a crack at making some for ourselves! 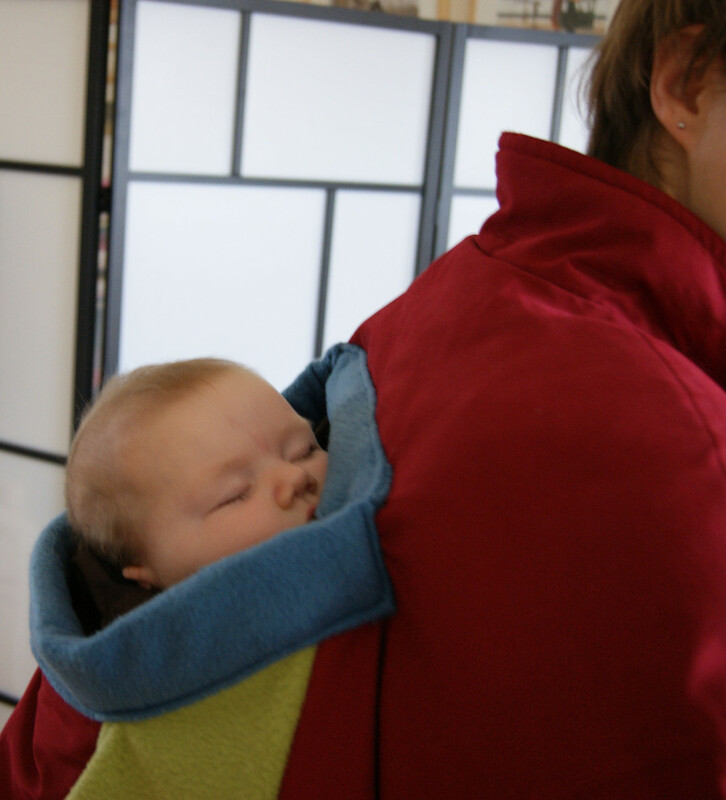 I always carry my little one on the front and she carries hers on her back, so we were able to try out two different styles. 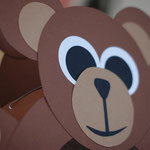 Jessica found this site with ideas and tutorials. 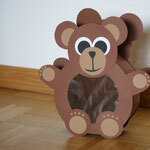 The first website is German, but don't worry; when you click on the pictures, you're sent to English websites. 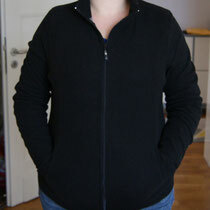 I decided to do the fleece jacket insert for a front-carrier. 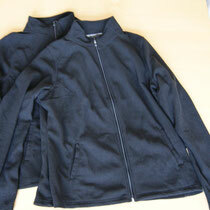 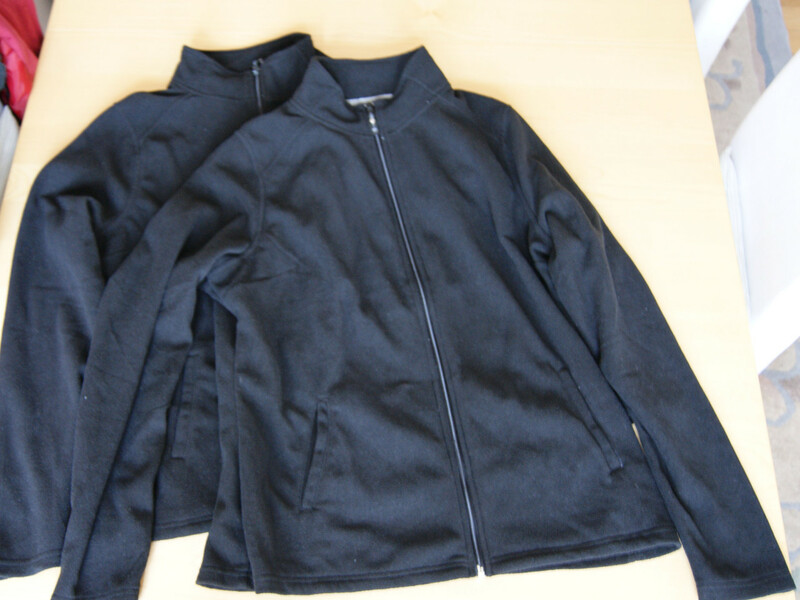 All you need is two identical fleece jackets and a sewing machine. 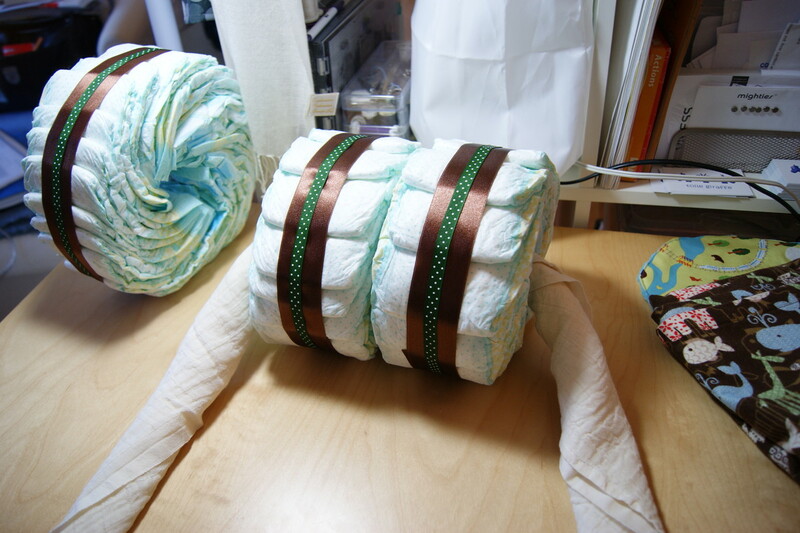 The jackets should be the same size so the zippers match up, and they should be a bit big to make sure the finished jacket will be long enough to cover Baby's feet. 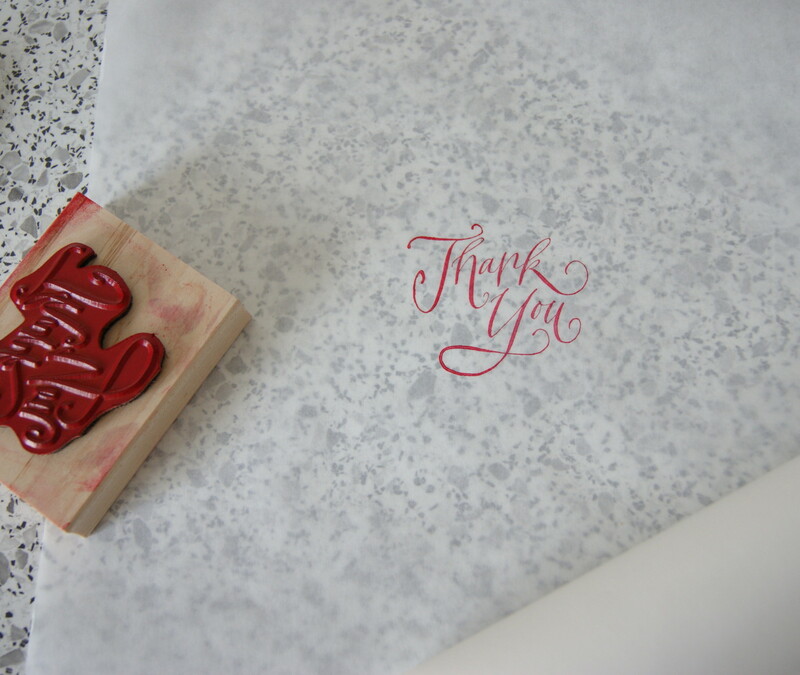 I followed this tutorial to the letter, and it was extremely quick and easy. 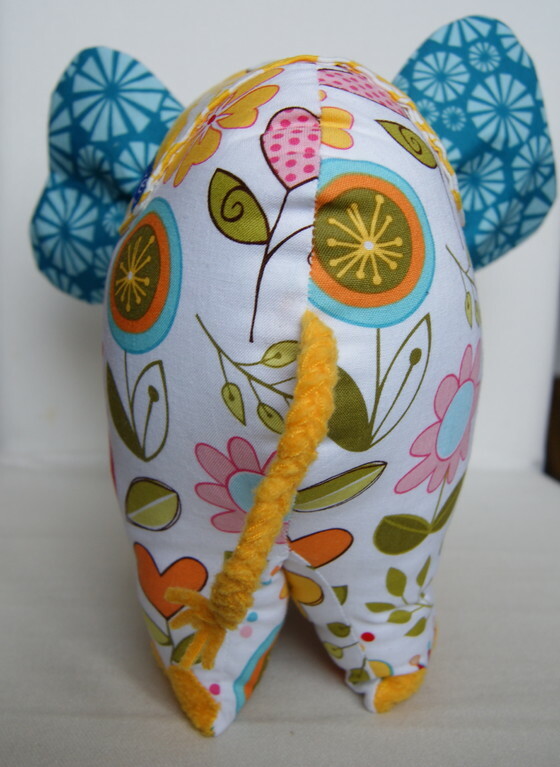 I'd say this is a pretty good project for beginners. 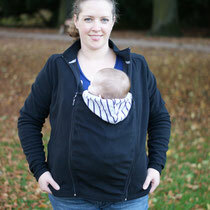 Jessica's back-carrier coat was more of a challenge, but still not overwhelmingly difficult. 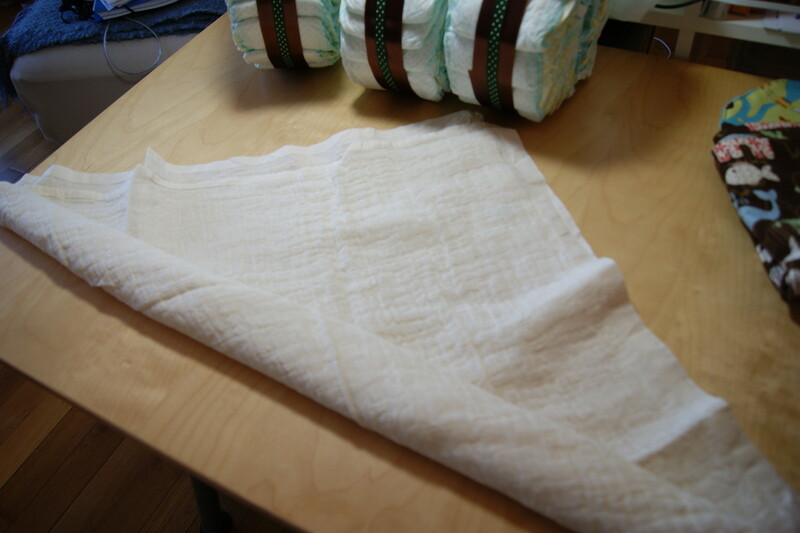 We weren't able to find a tutorial, though, with both pictures and a written description with measurements, just one or the other. 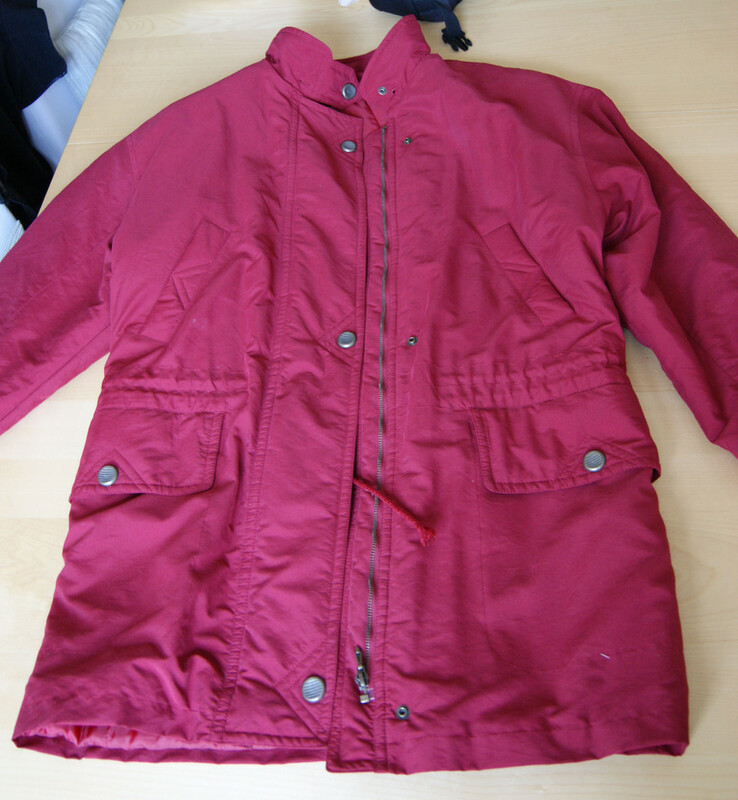 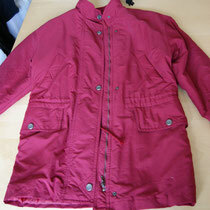 This project required one coat that's a few sizes too big, some fleece and a lot of imagination. 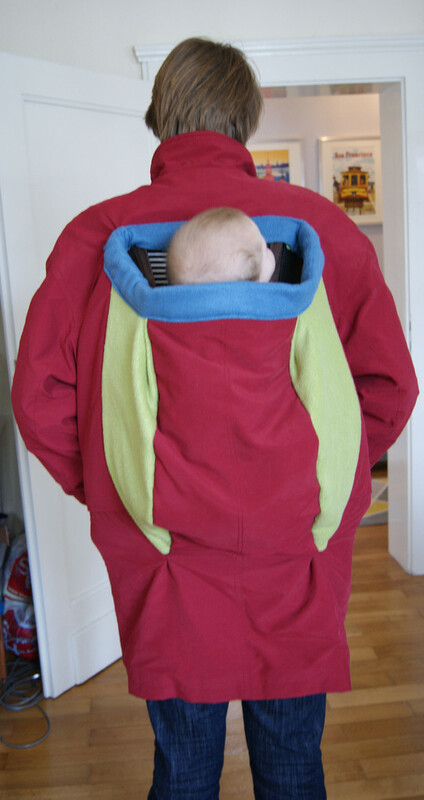 Our measurements were far from exact, and the resulting pouch is very roomy, but that means her little one will have plenty of room to grow (which also makes more sense on the back, as she can be carried there much longer). 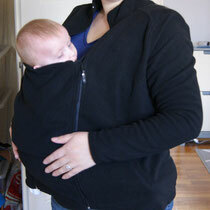 In the pictures, Baby seems to be a bit low, but she's just slouched down because she's asleep. 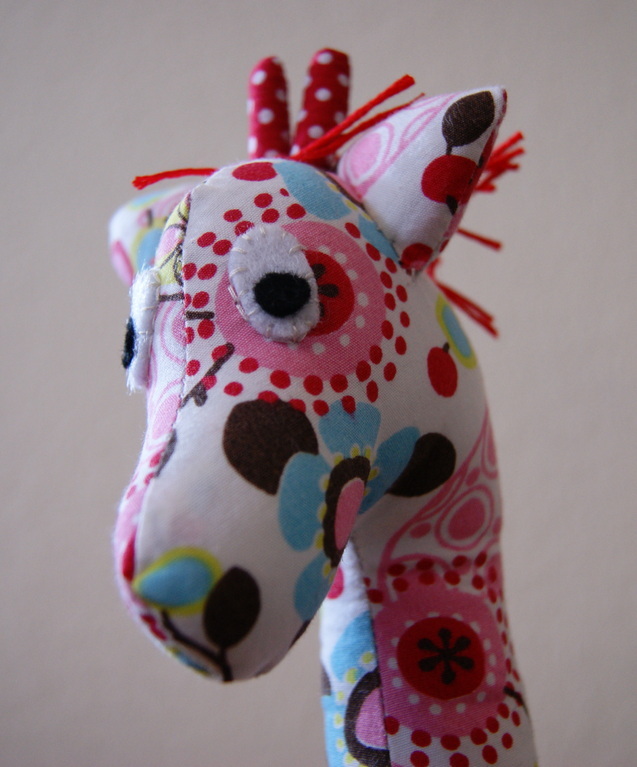 When she's awake she can poke her head up and out just fine. 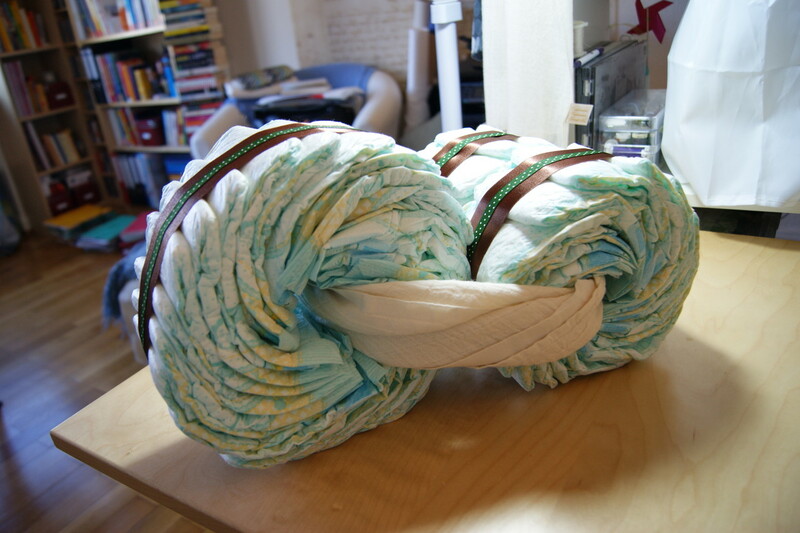 We're both pretty excited about the end results! 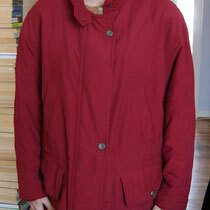 Bring on the cold weather, we're ready! 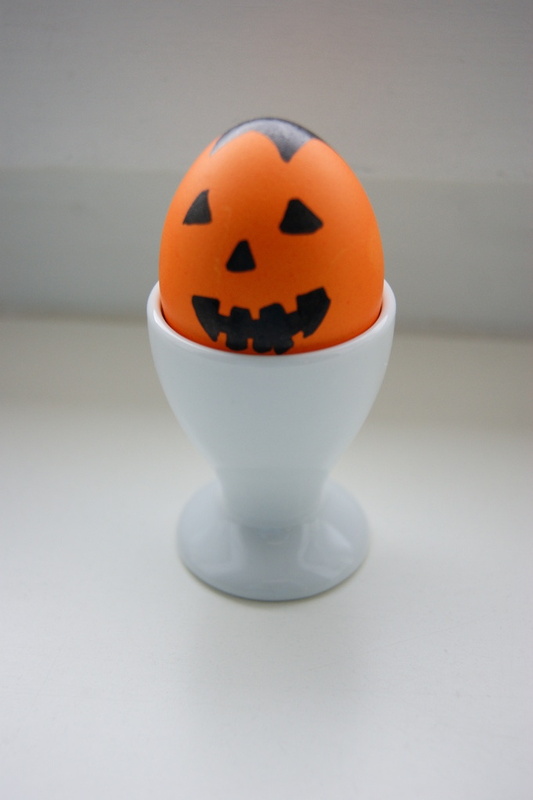 Although Halloween isn't really celebrated in Germany, I think "firsts" are really important and I couldn't pass up the opportunity to dress the little one up for the occasion. 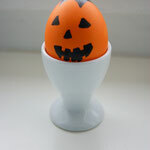 And believe it or not, we actually found a Halloween fest to go to here in Saarbrücken! 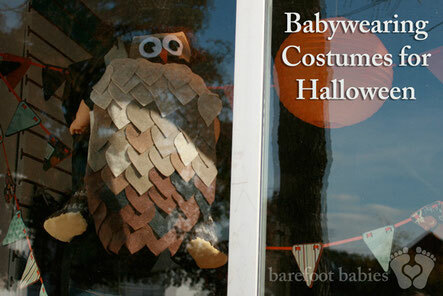 But then I saw this owl costume and I was hooked! 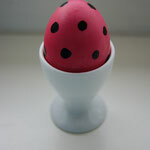 There's a tutorial here, which was very helpful, although I changed a couple of things. 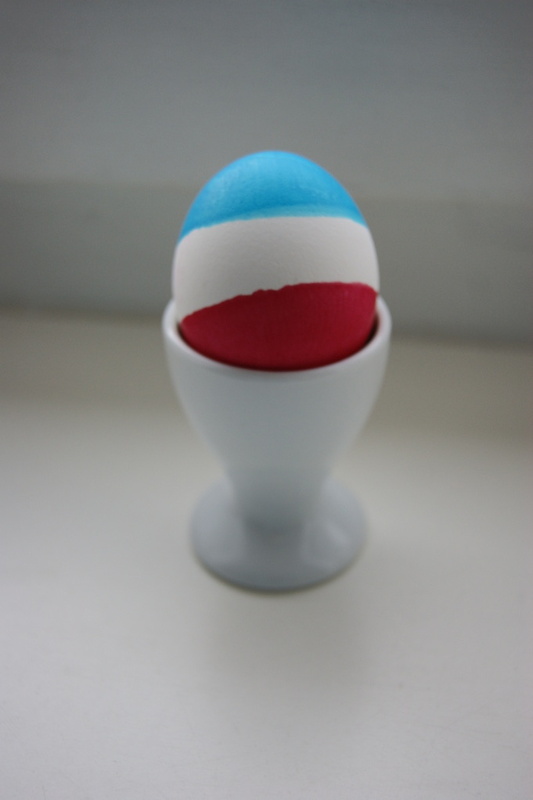 First, the colors. 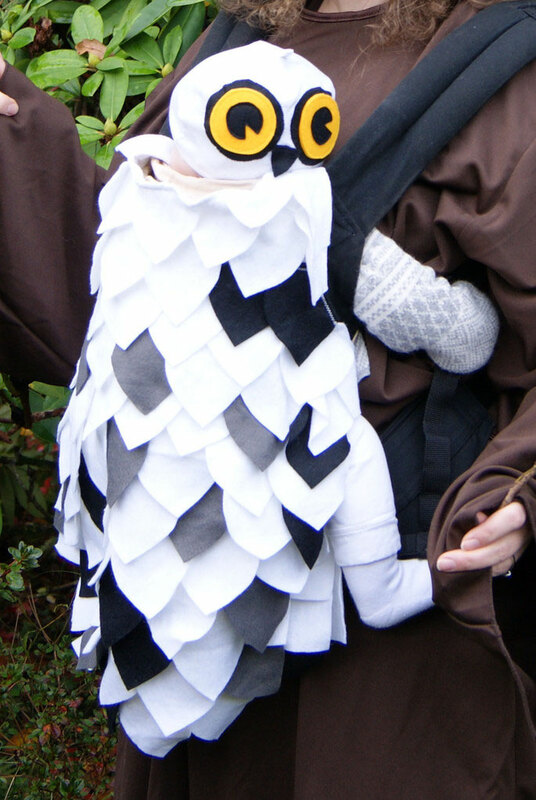 My husband went as Harry Potter, so that made the little one Hedwig, of course. Hedwig is a beautiful snowy spotted owl, which was really easy to recreate using white, grey and black felt. 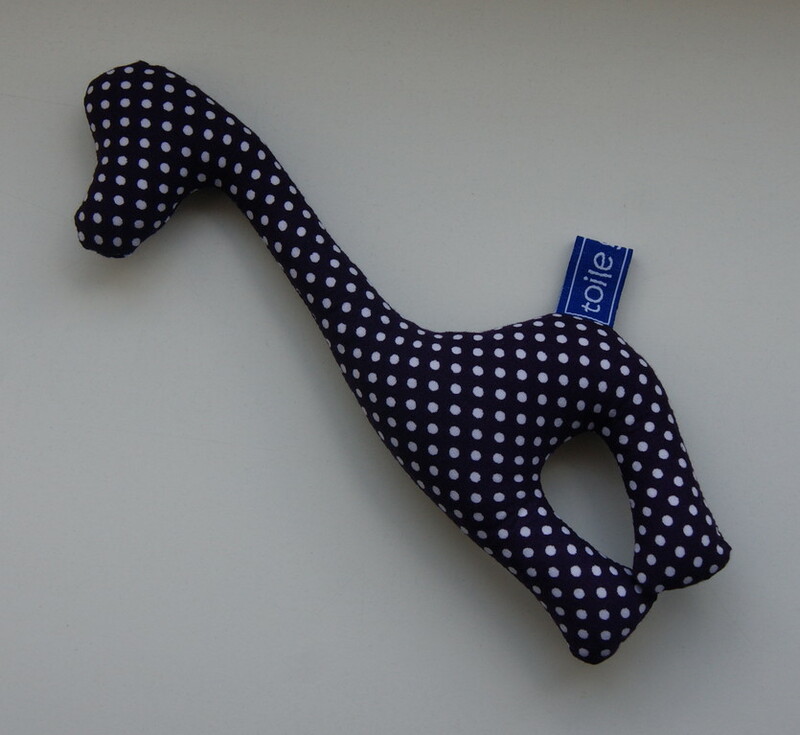 We already had a white beanie, so I just needed to attach felt eyes and a beak, and we were in business. I used an old white t-shirt, so I didn't need the extra felt reinforcements described in the tutorial, and I sewed the "feathers" on in staggered rows. 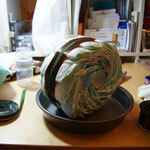 It seemed stronger and less messy than gluing. 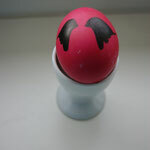 All in all, I'm pretty happy with the result. 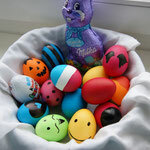 We got a LOT of smiles and comments! 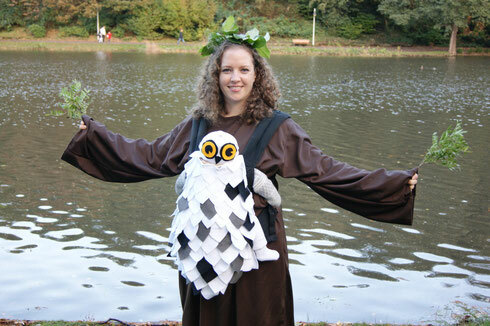 I'm a tree, in case it's not obvious! 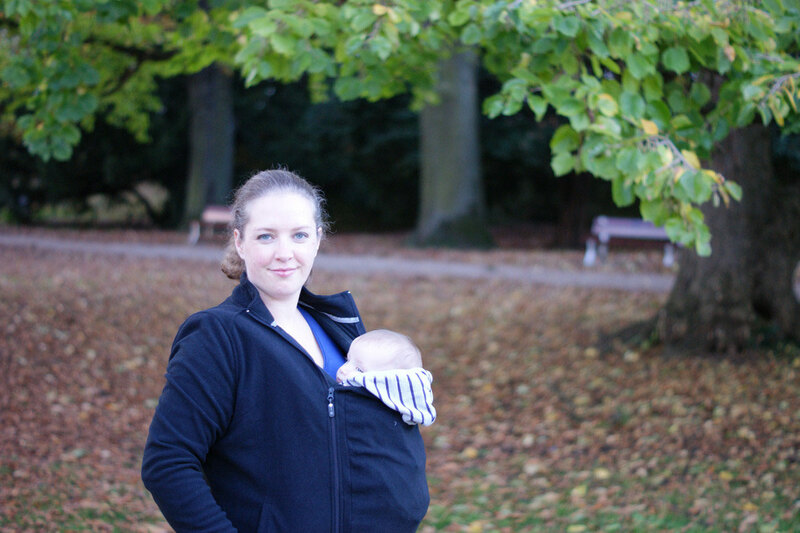 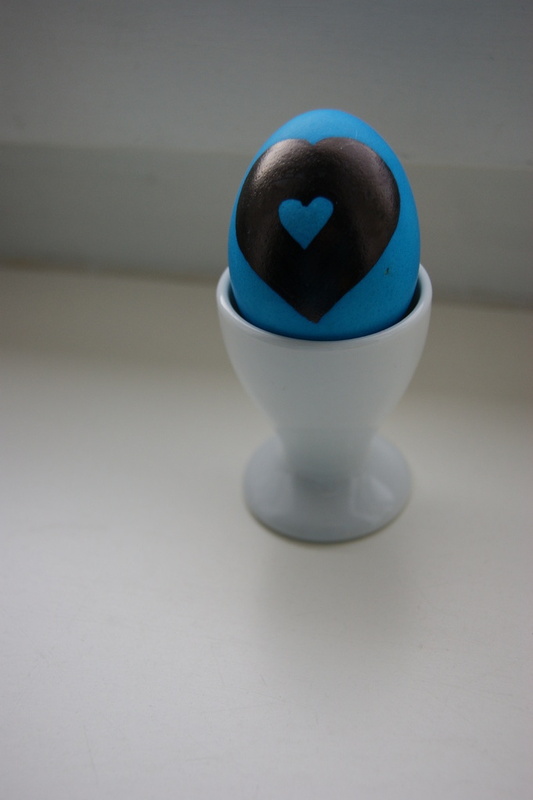 After a long maternity leave, I finally feel able to run the blog again! 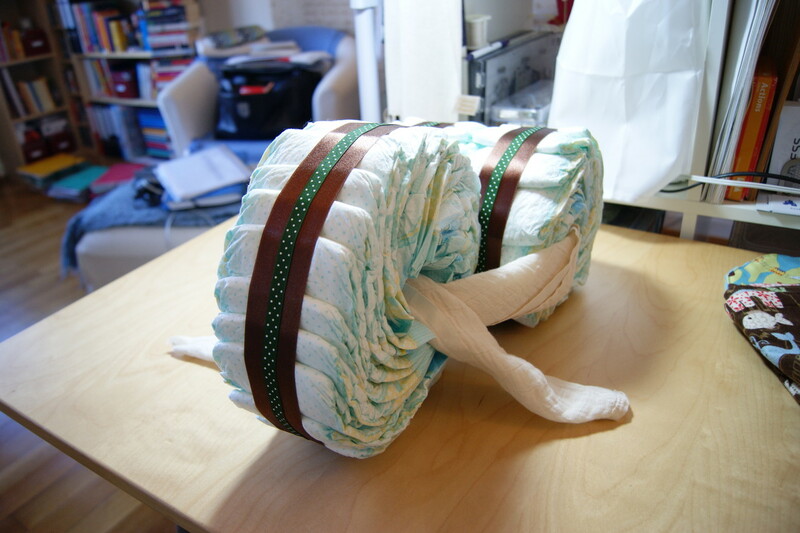 It's been lots of hard work and long hours, but totally worth it! 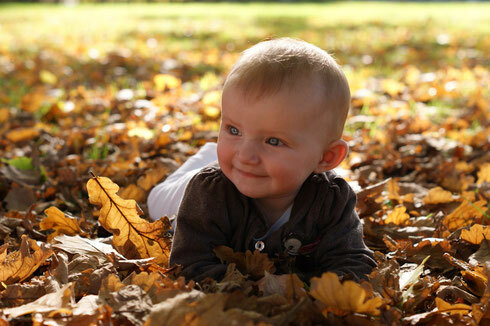 Here's my little one, enjoying her first fall. 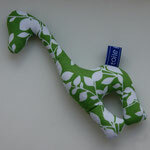 Now I have my own little model and product tester at home, so I'm sure the blog will reflect these life changes in a positive way. 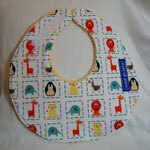 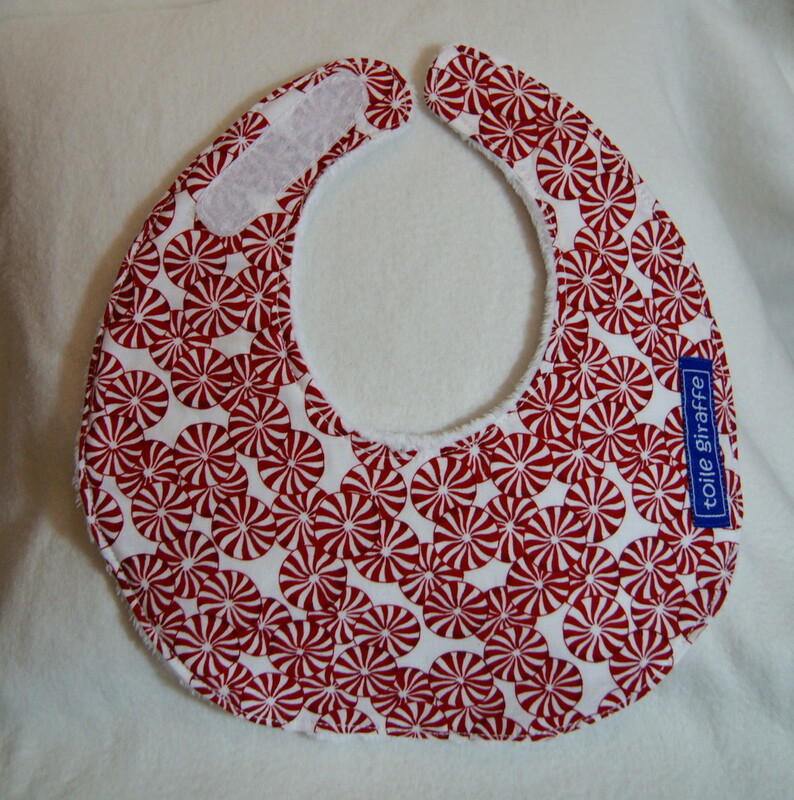 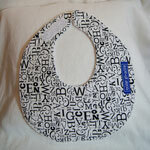 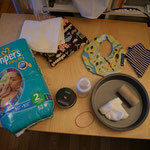 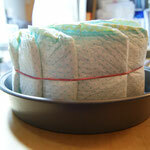 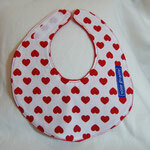 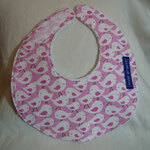 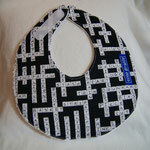 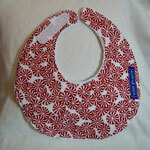 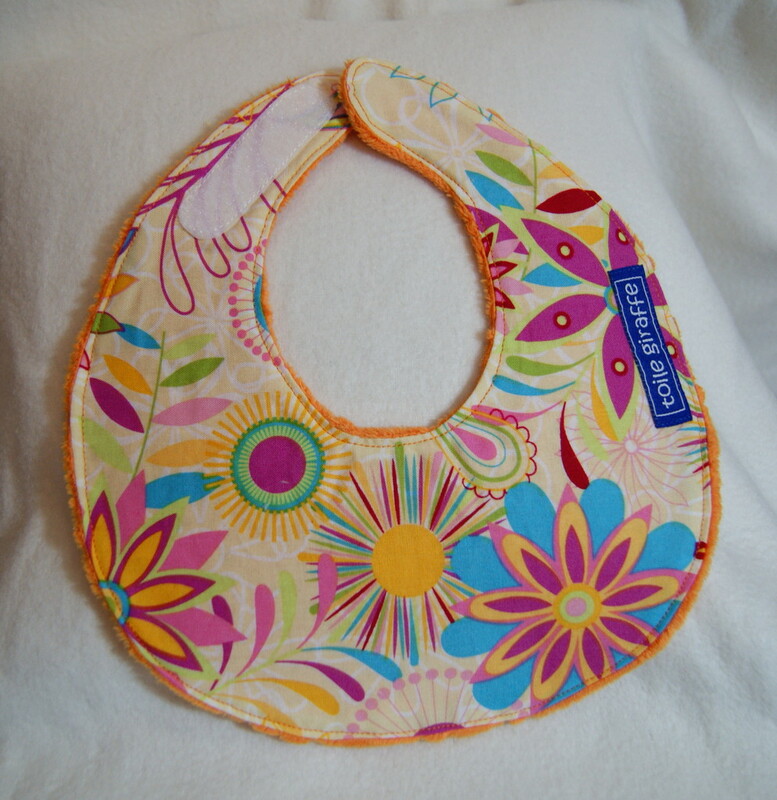 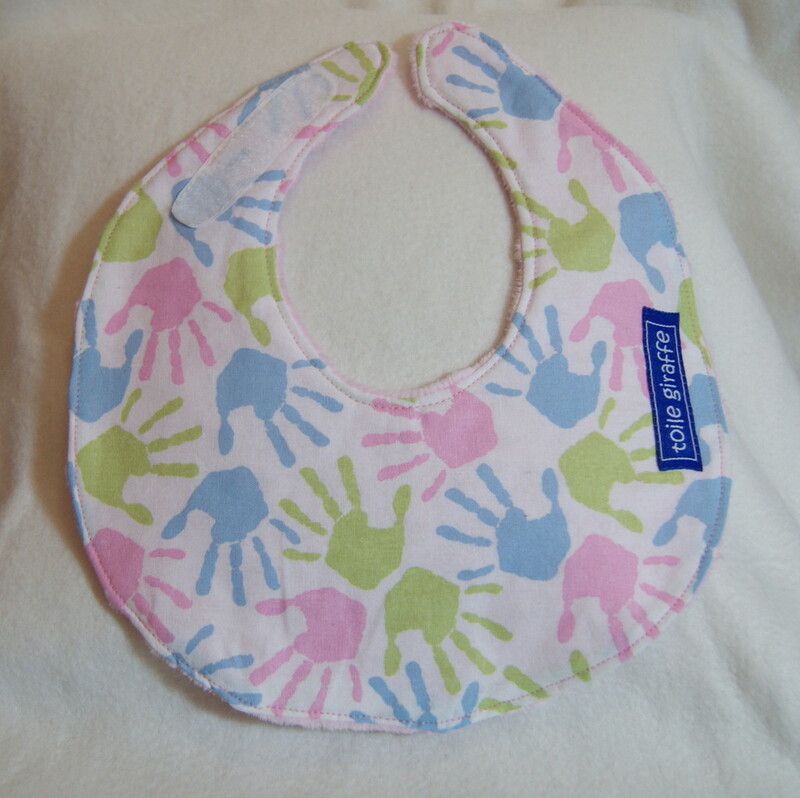 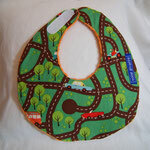 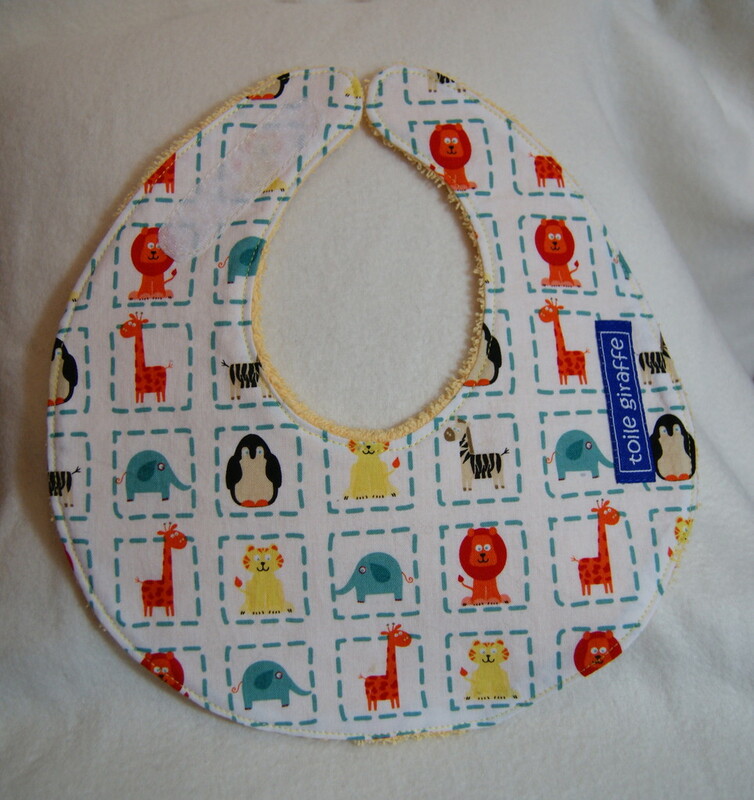 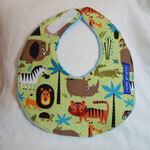 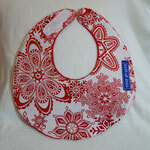 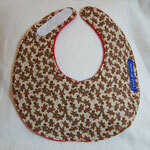 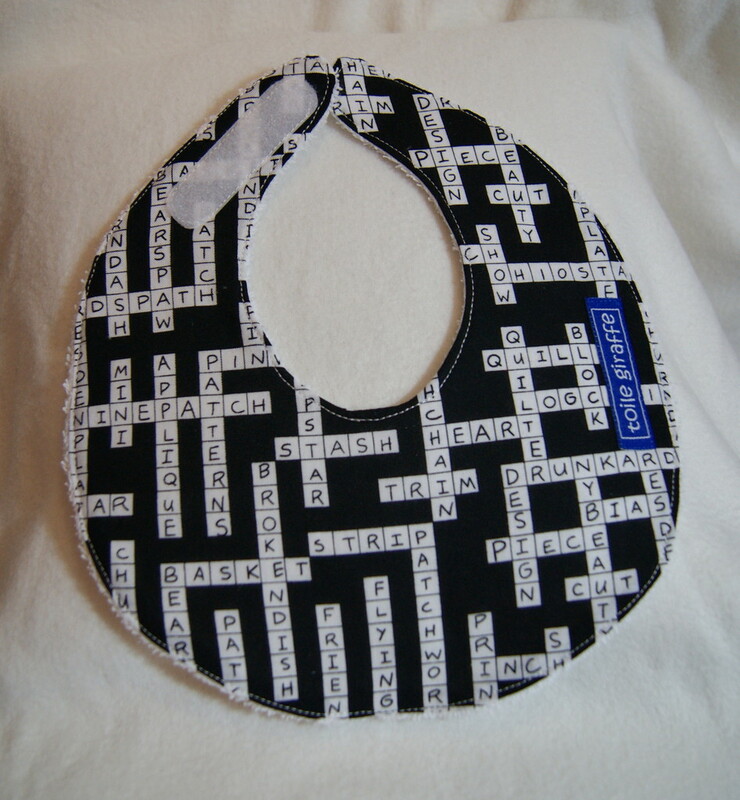 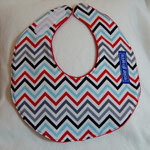 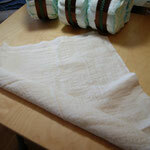 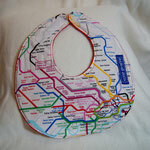 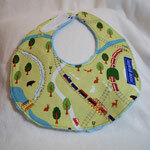 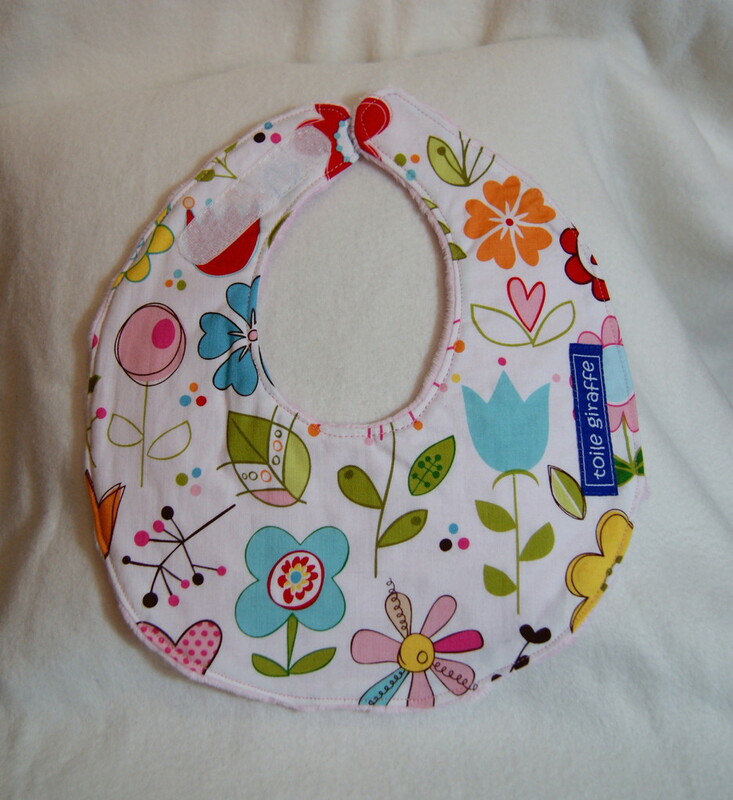 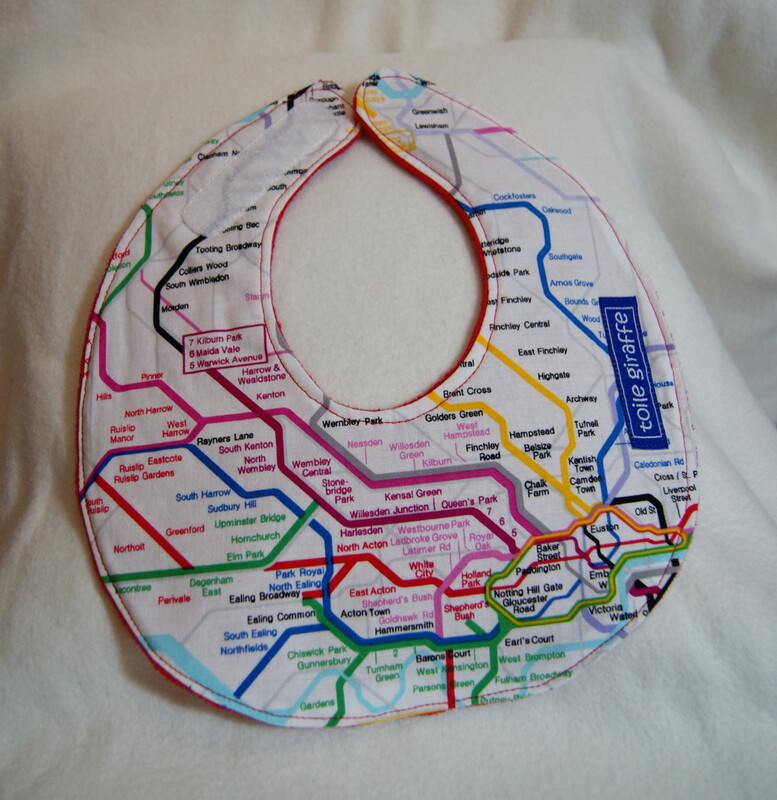 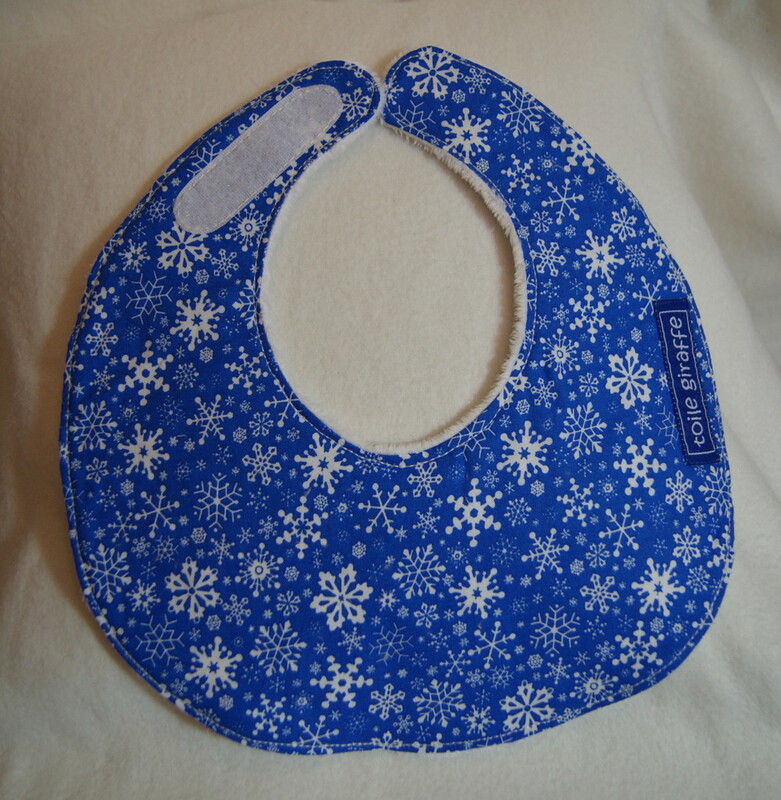 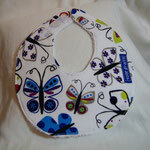 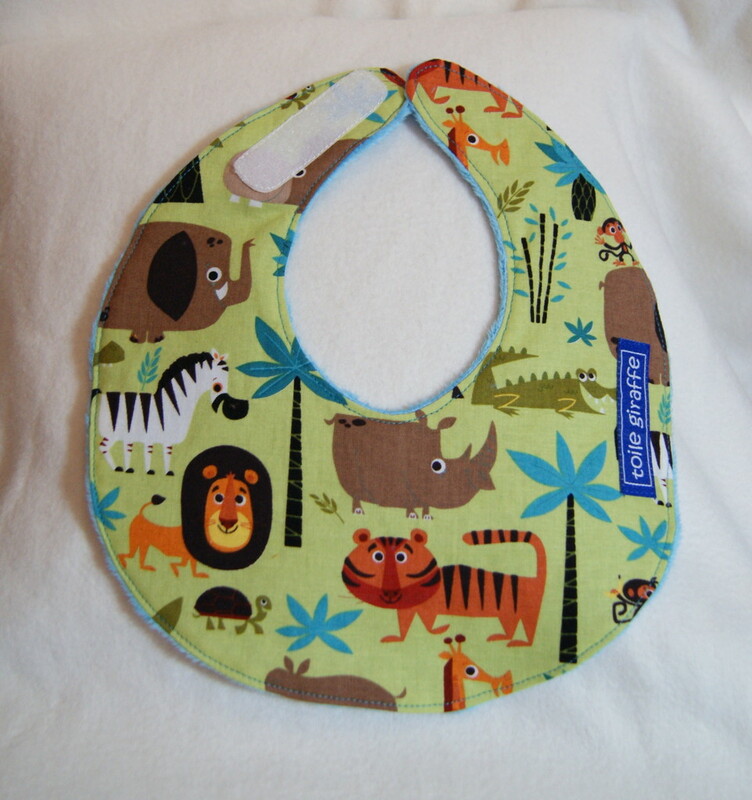 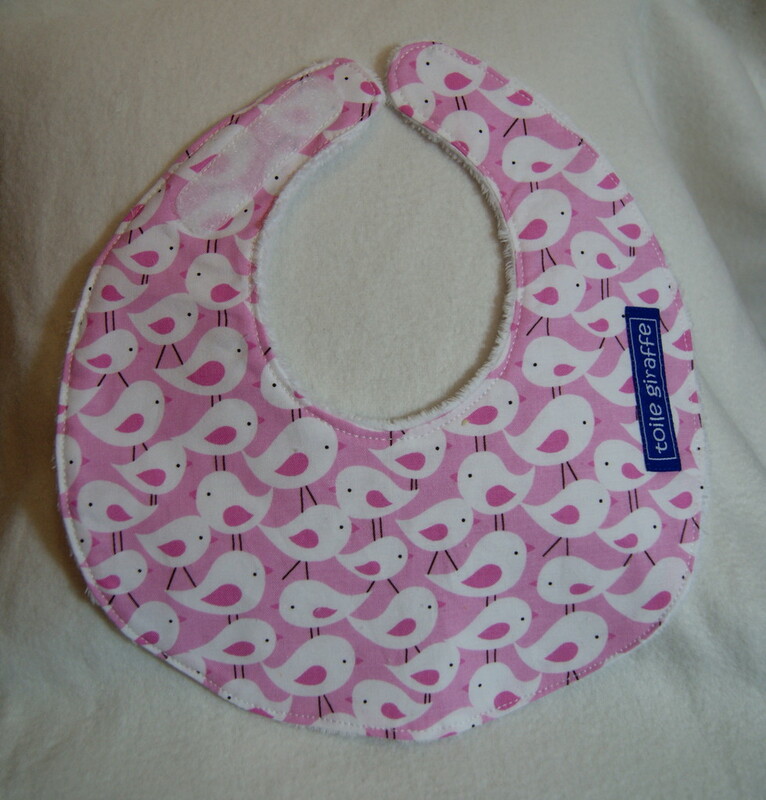 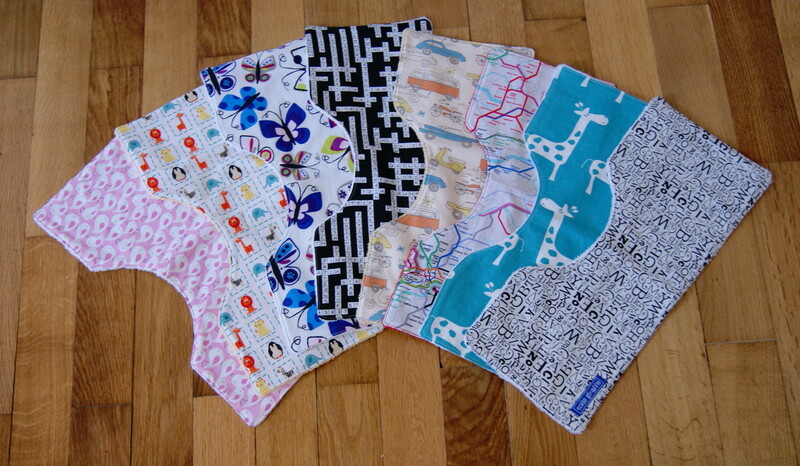 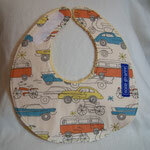 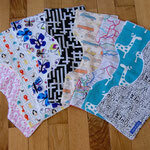 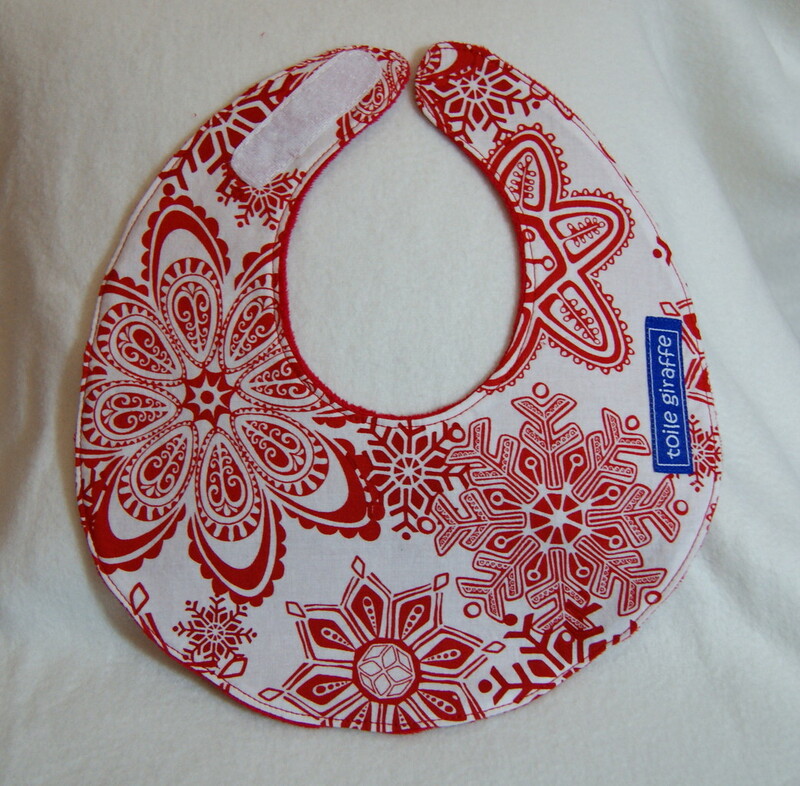 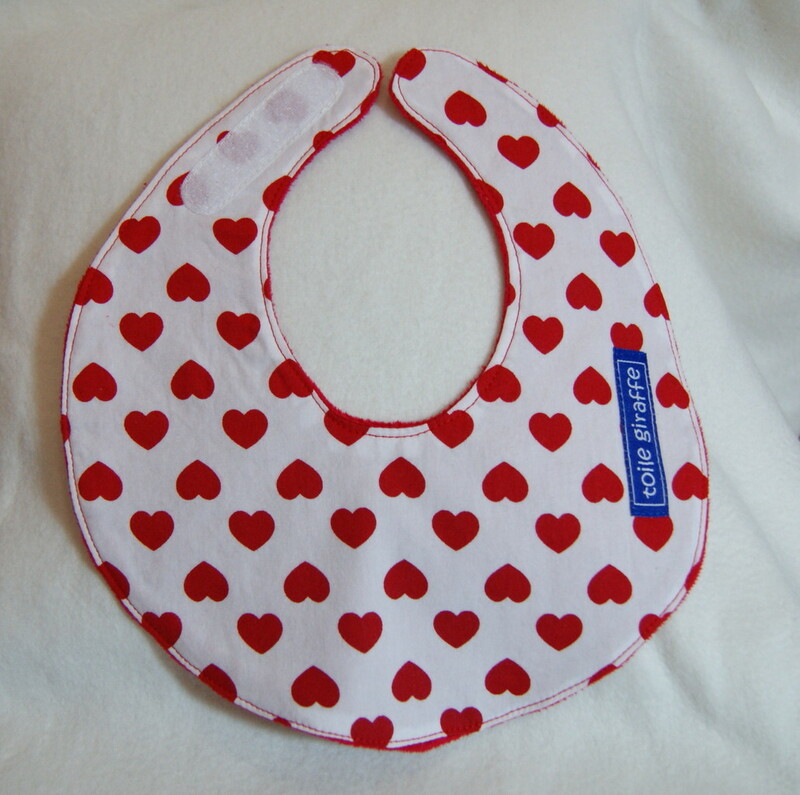 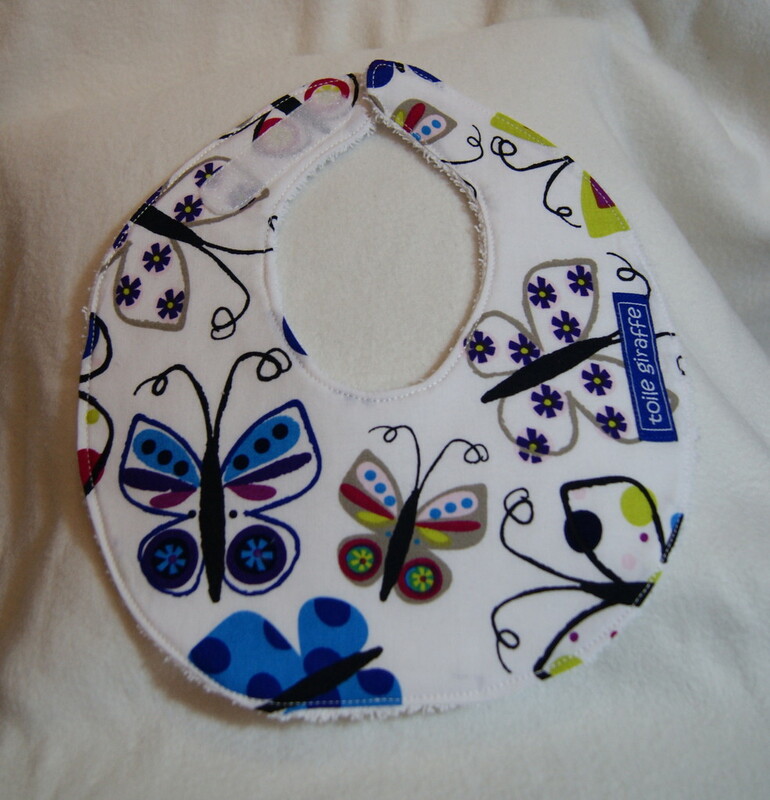 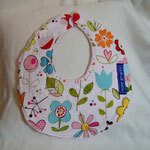 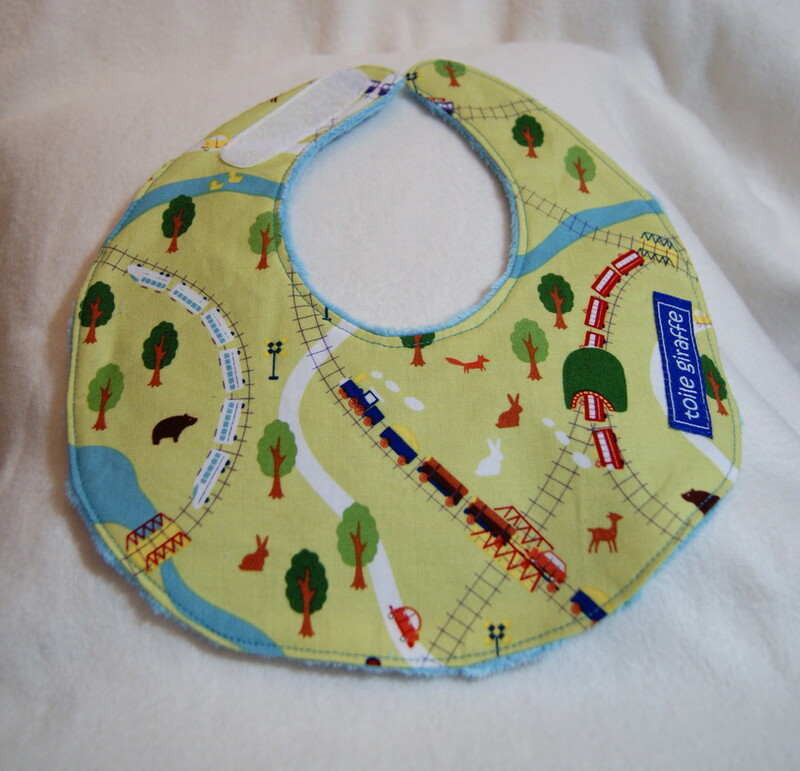 New in the shop: Bibs & Burp cloths! 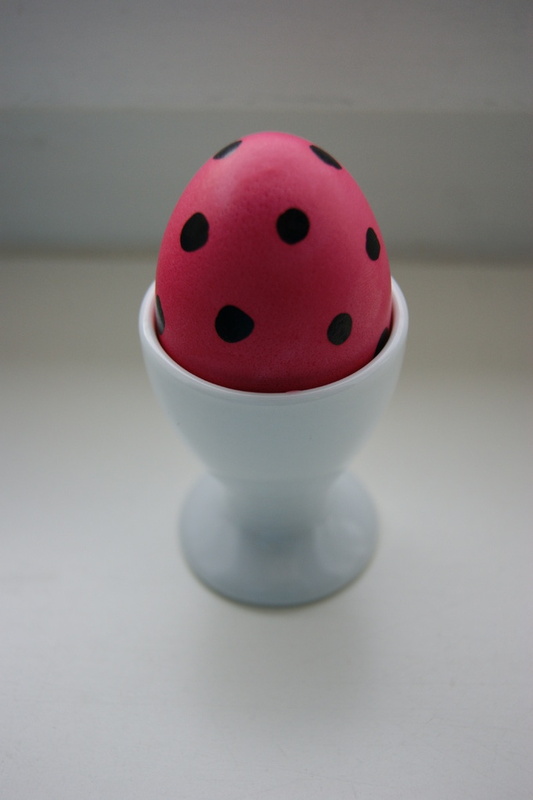 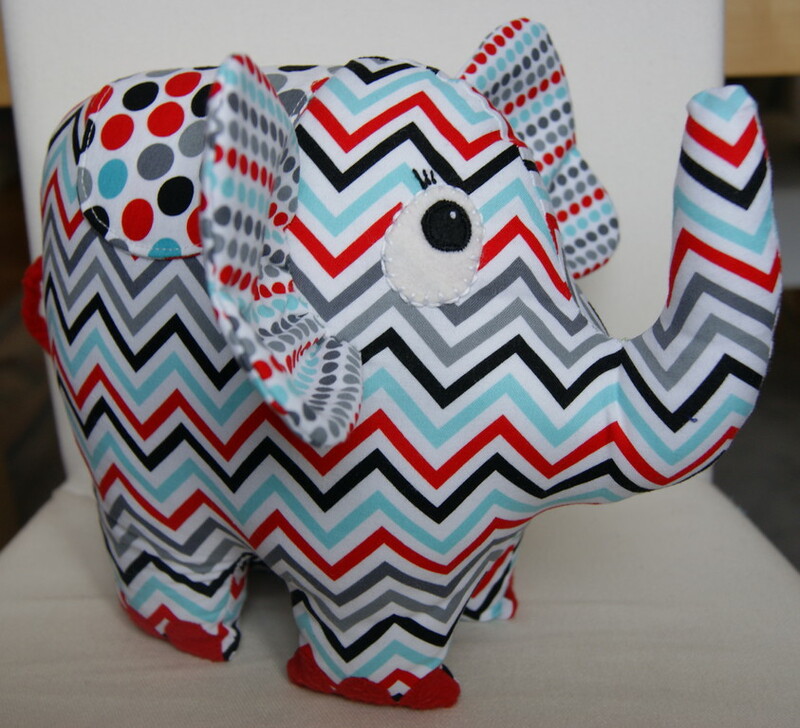 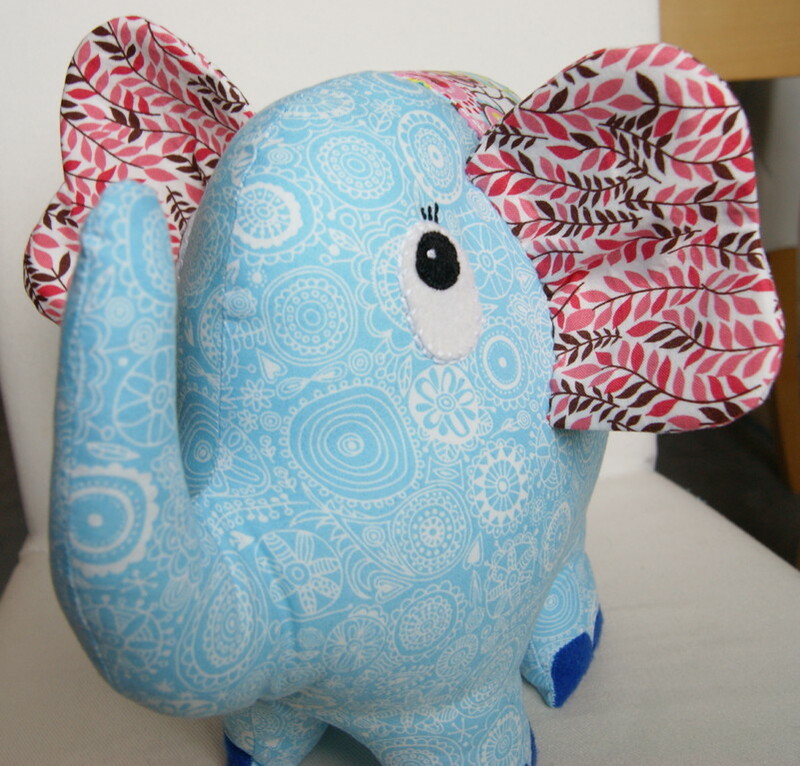 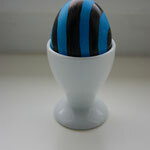 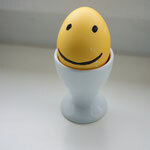 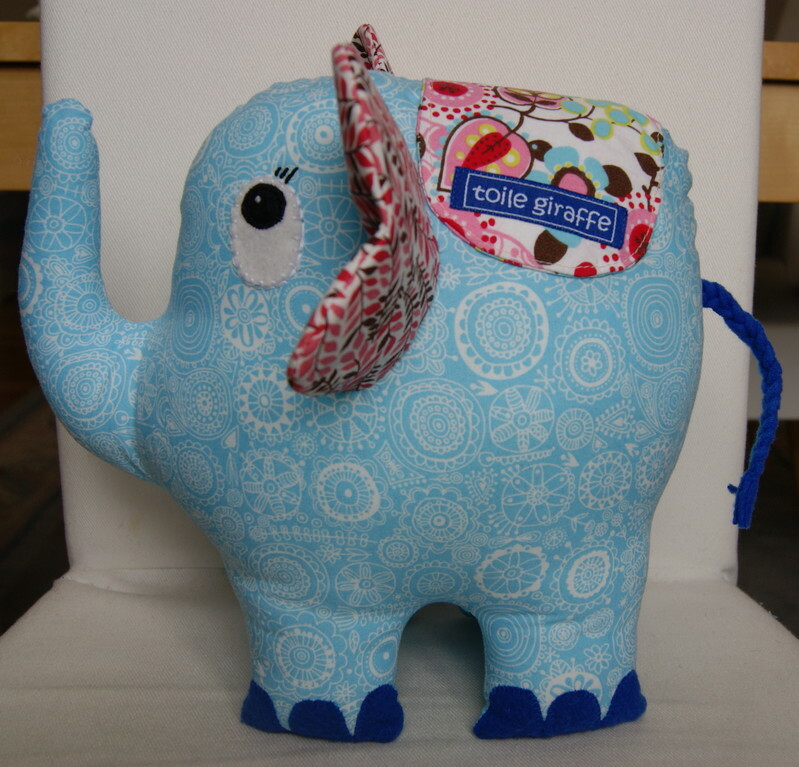 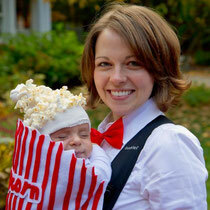 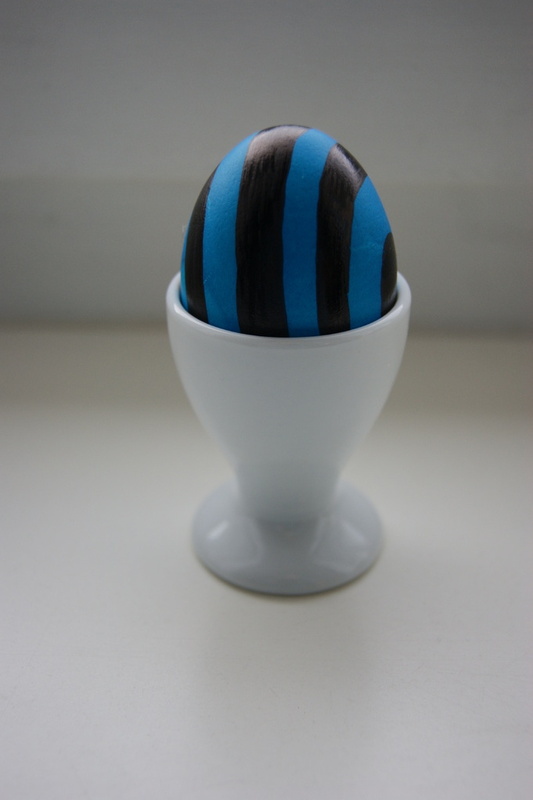 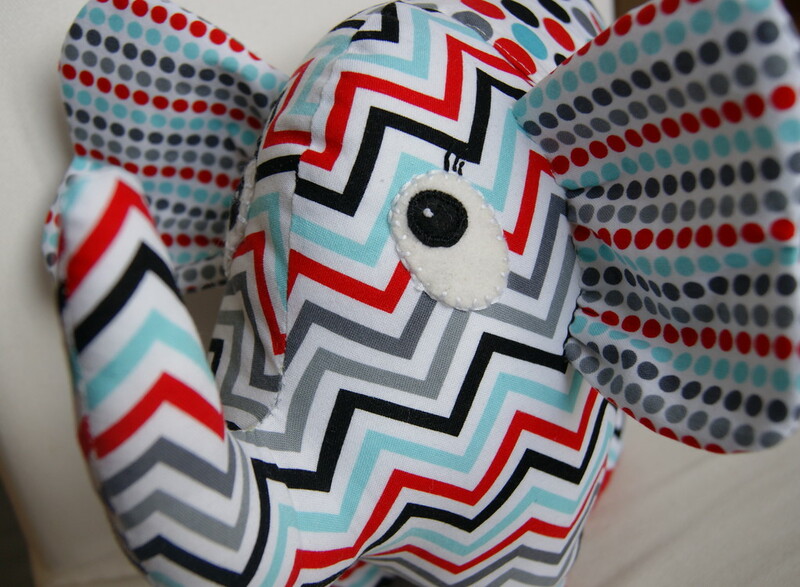 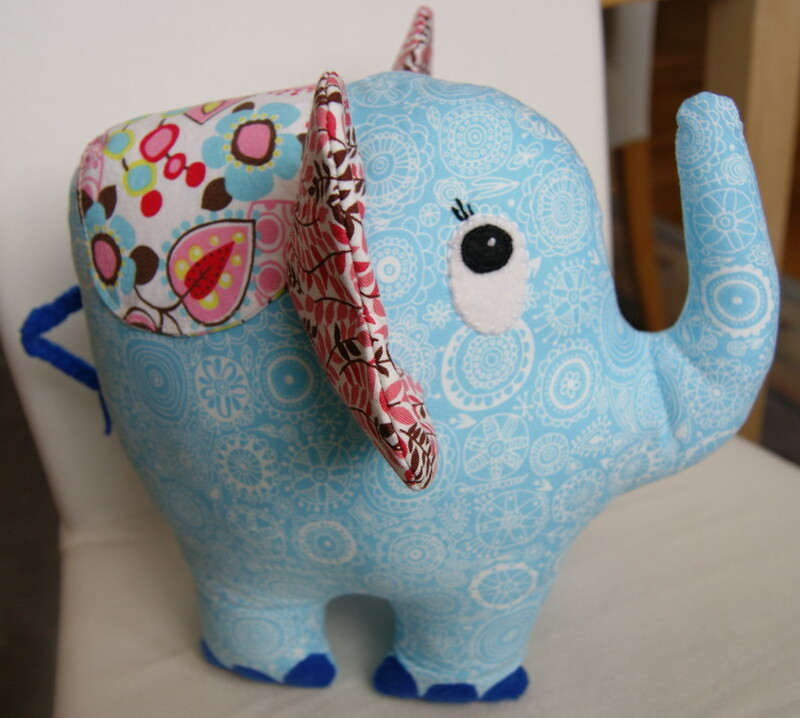 Have you ever looked for a really creative baby gift you can make yourself? 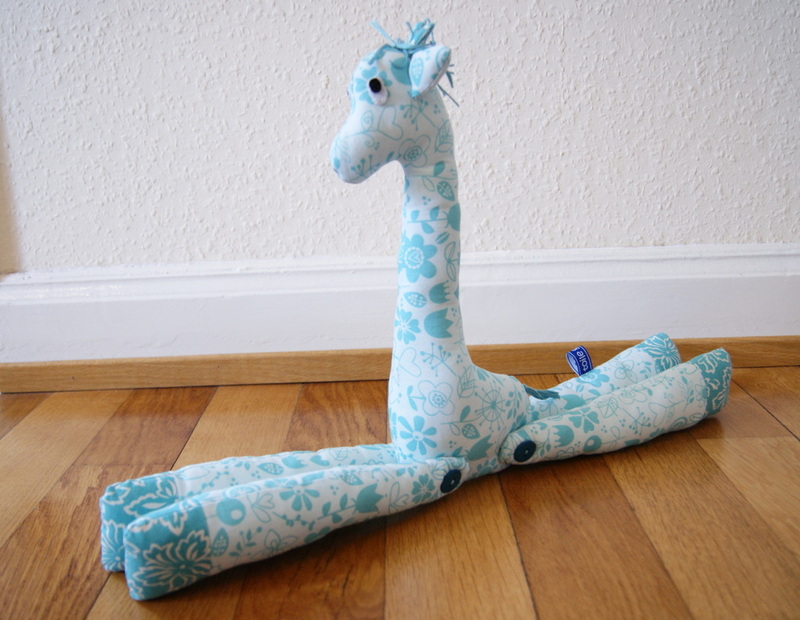 Not just a random stuffed animal, but something actually useful? 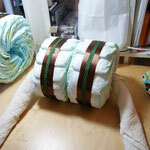 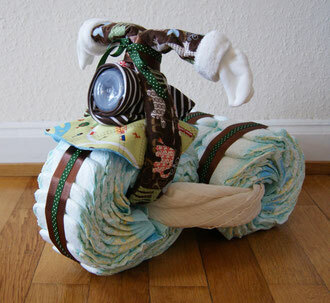 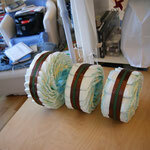 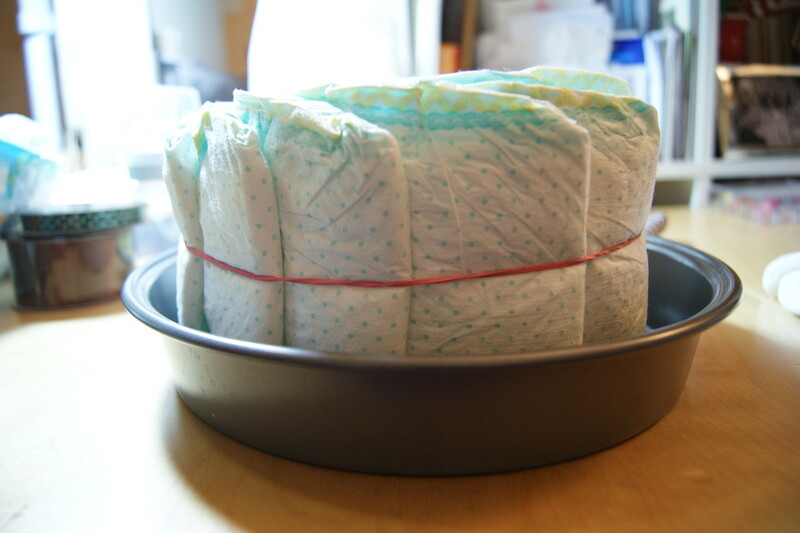 You've probably heard of a diaper cake, but there are lots of possible variations, for example a diaper motorcycle! 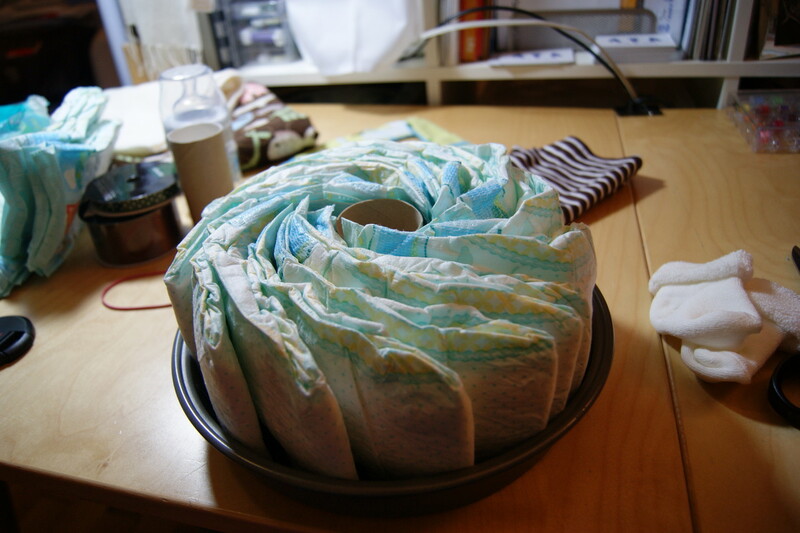 *I used a round cake pan to help form the wheels and a toilet paper roll to keep the hole in the middle free, but they're not absolutely necessary. 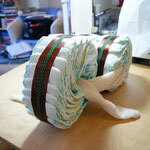 There are quite a few how-to videos on YouTube, just search for "diaper motorcycle" and get a feel for the general idea, then you can add your own ideas. 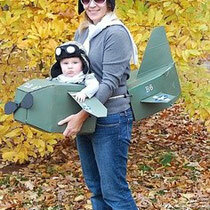 Creativity knows no limits! 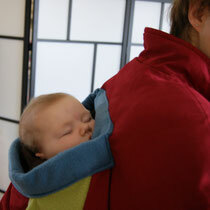 The gift looks very impressive, and the best part is that the new parents can use everything! 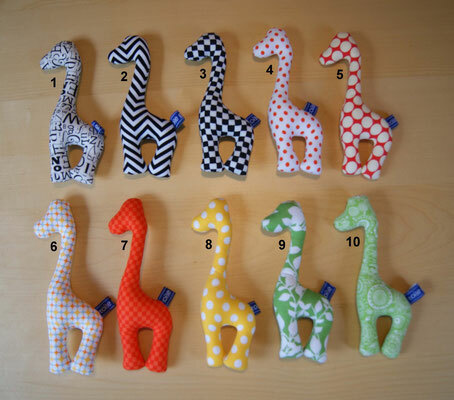 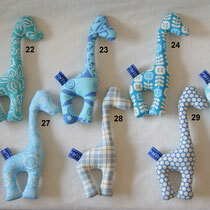 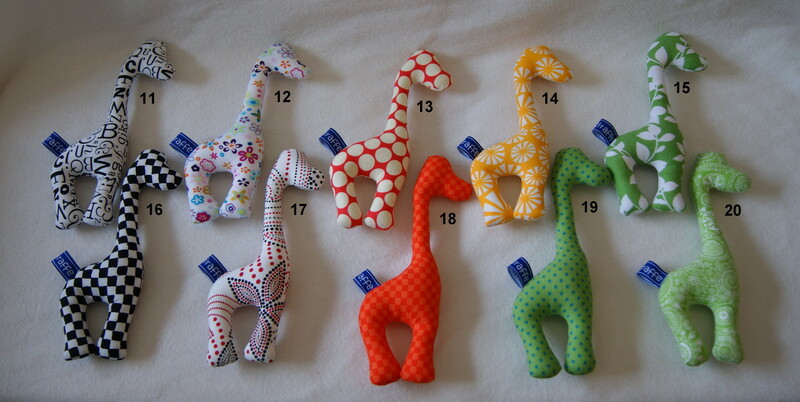 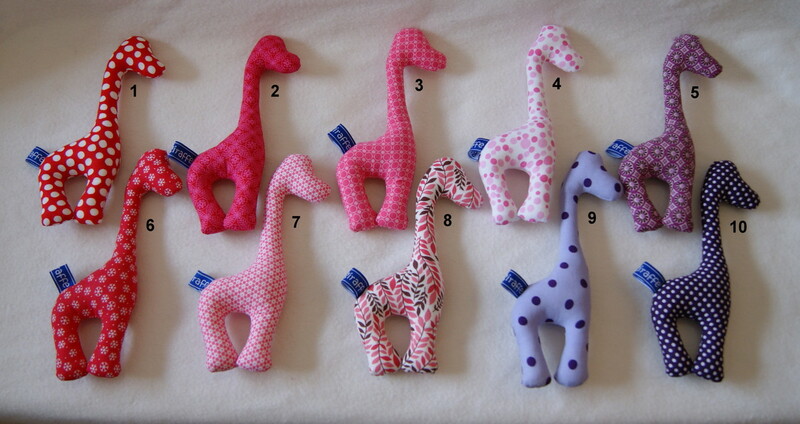 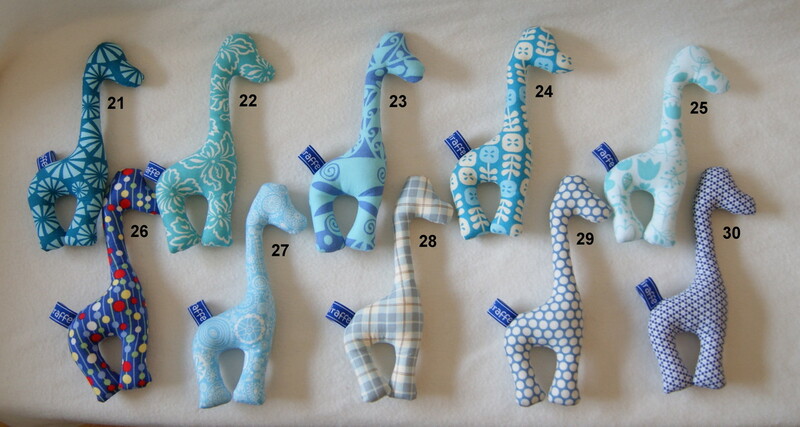 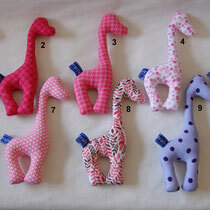 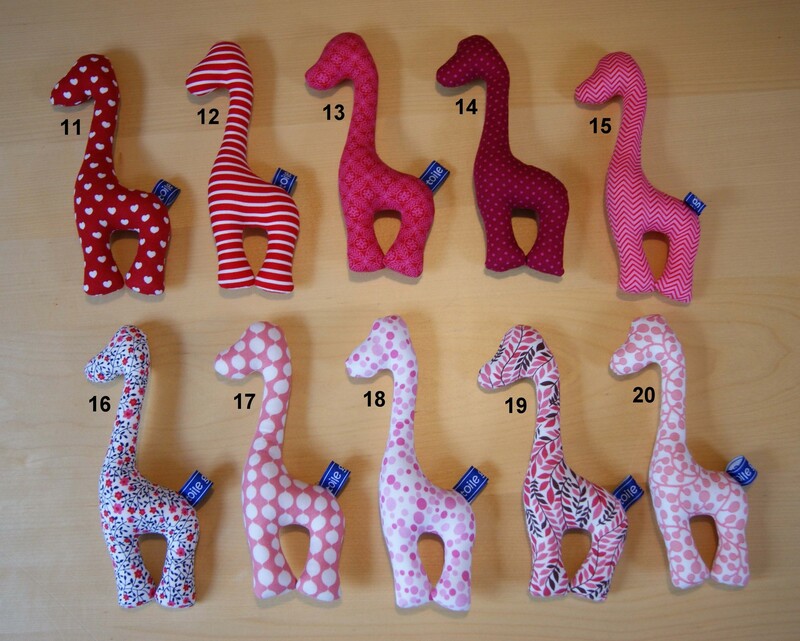 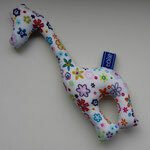 New: 30 baby giraffes to choose from, either with or without a rattle! 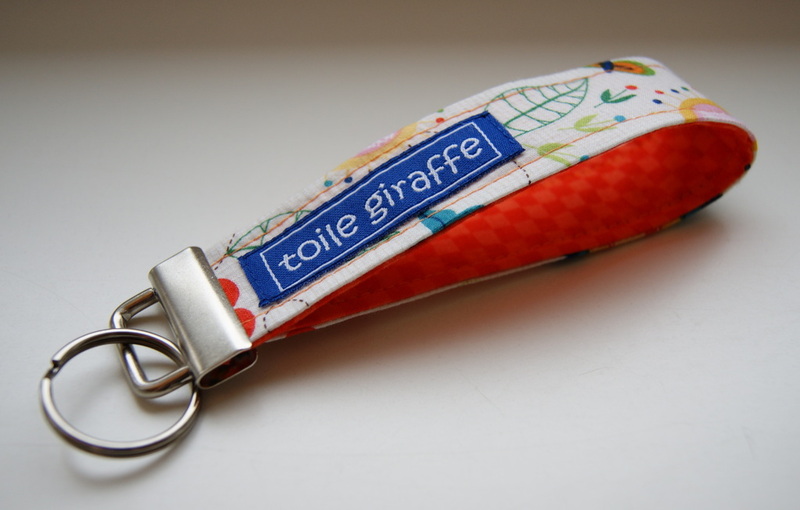 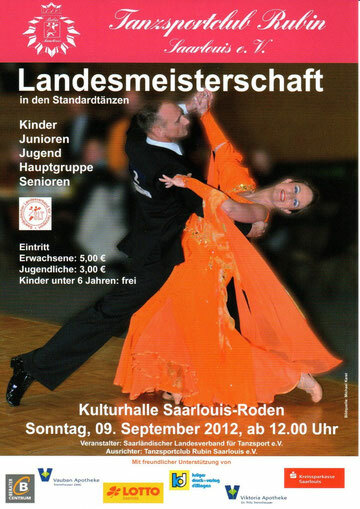 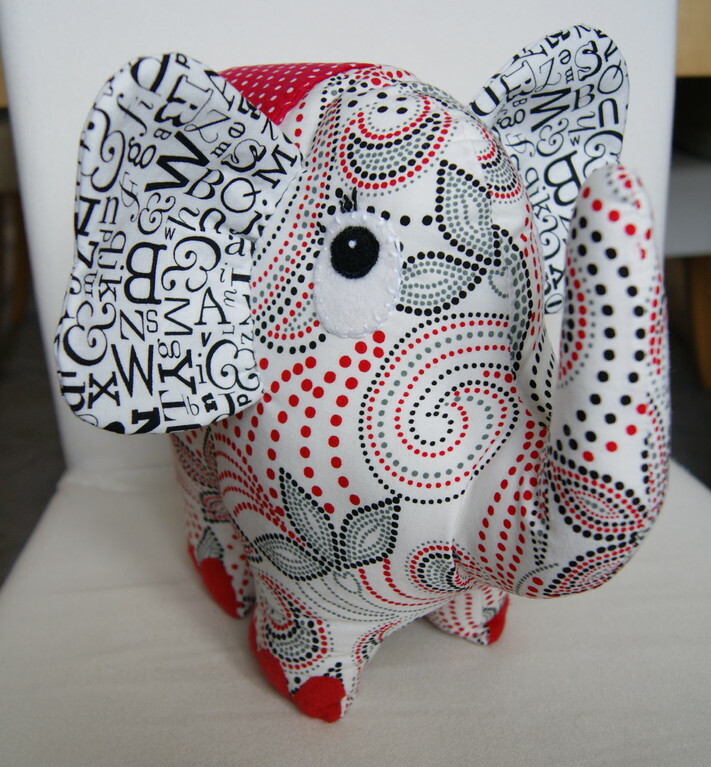 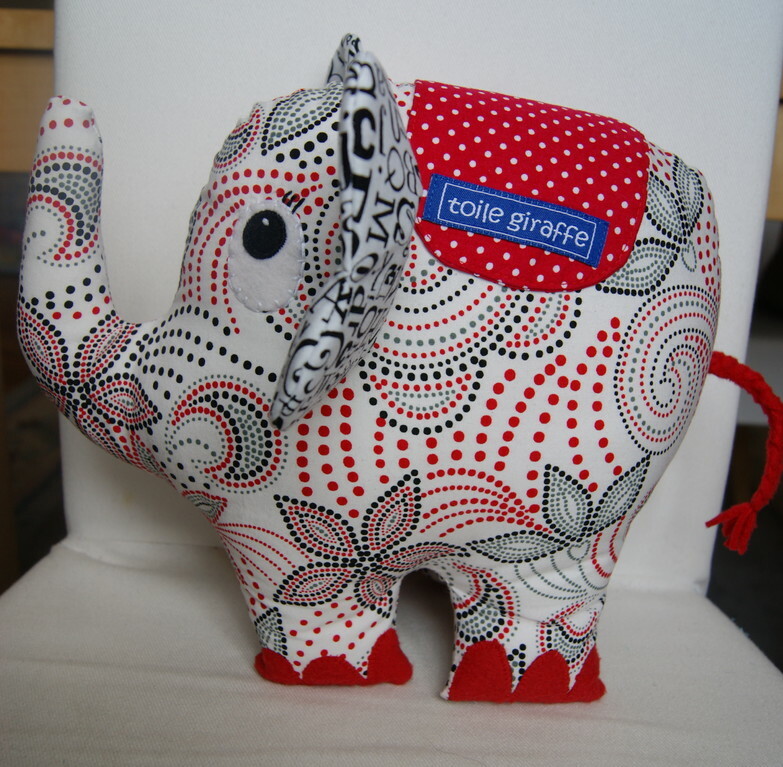 Come to the Saarland Ballroom Dance Championships in Saarlouis tomorrow, and visit the toile giraffe stand as well! 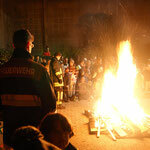 The 12th Mainzerstraße Street Fair in Saarbrücken on Saturday was a huge success! 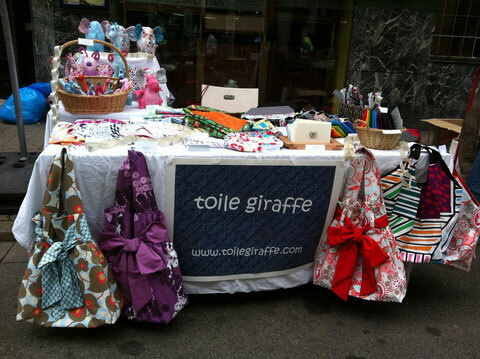 I met a lot of interesting people and did some great advertising. 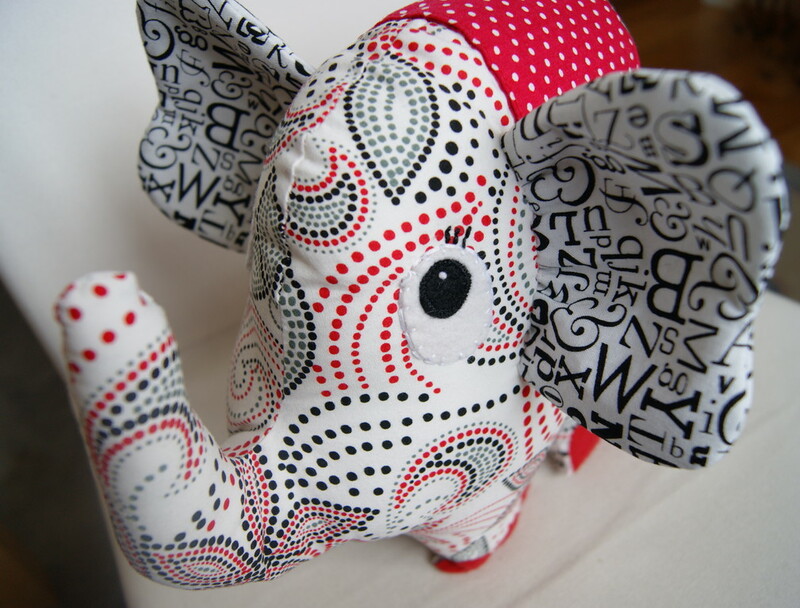 Please welcome our new herd of elephants! 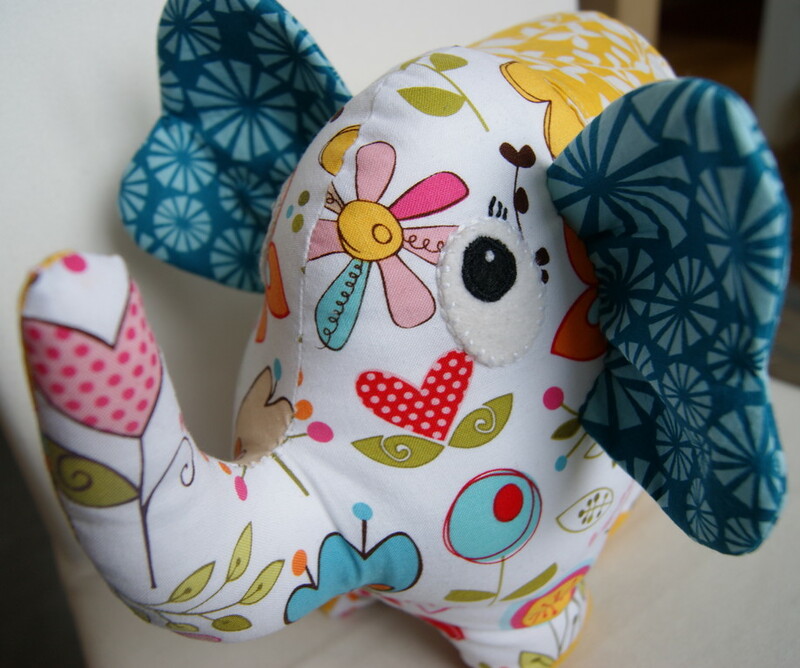 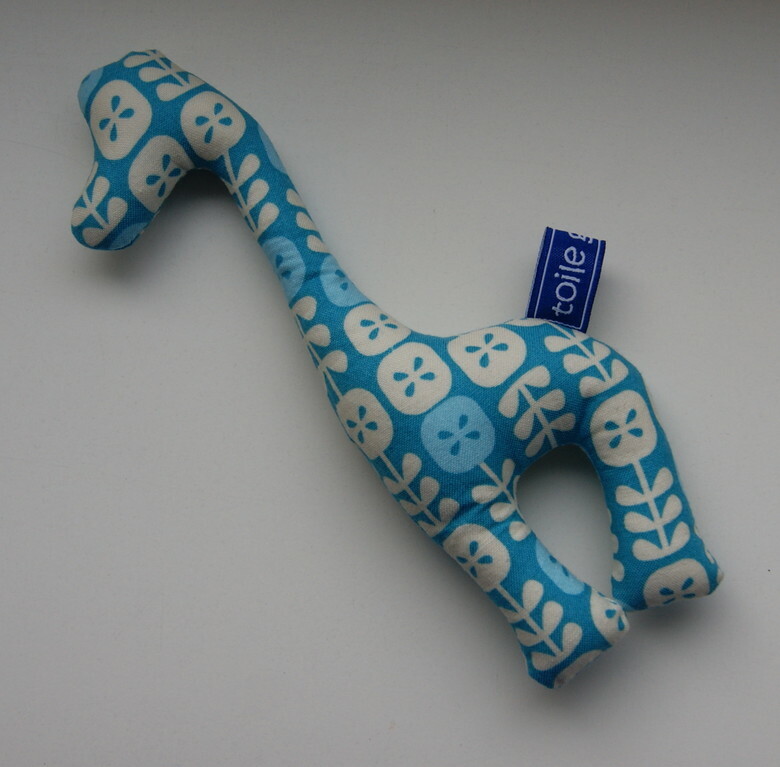 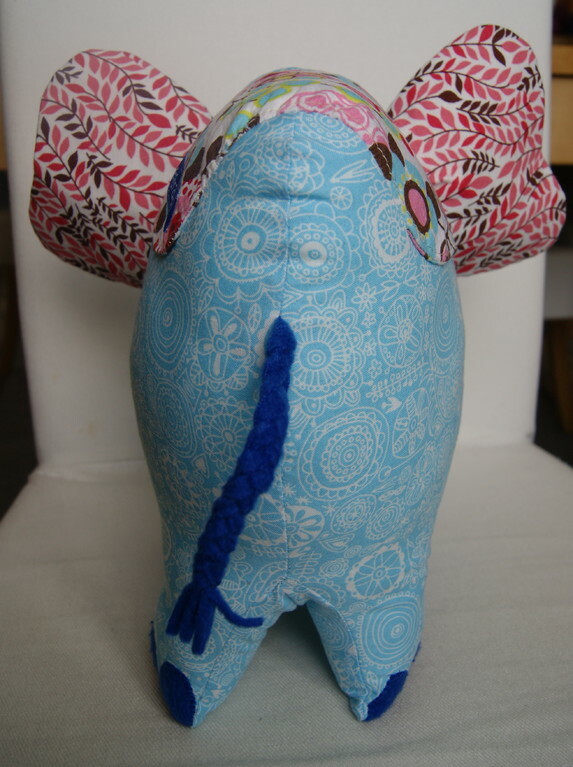 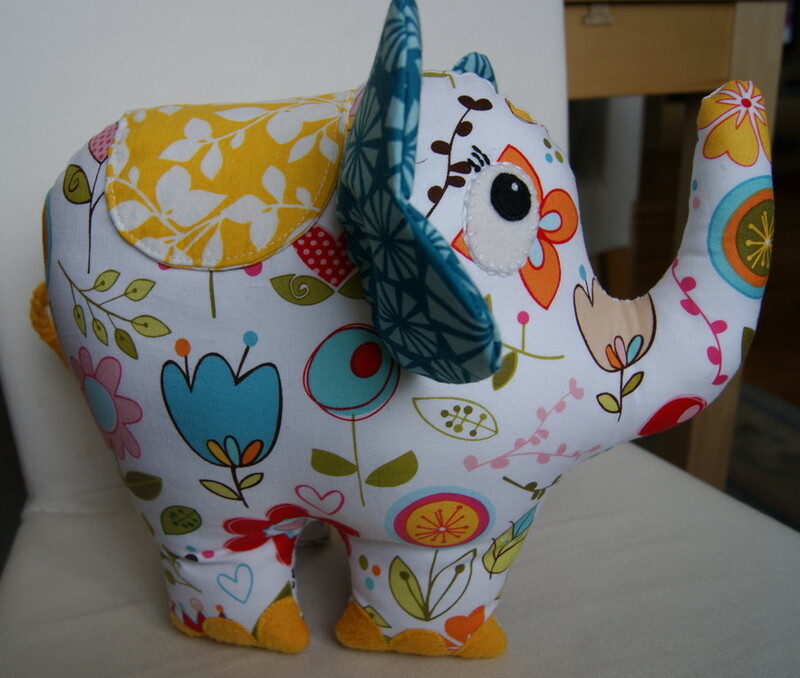 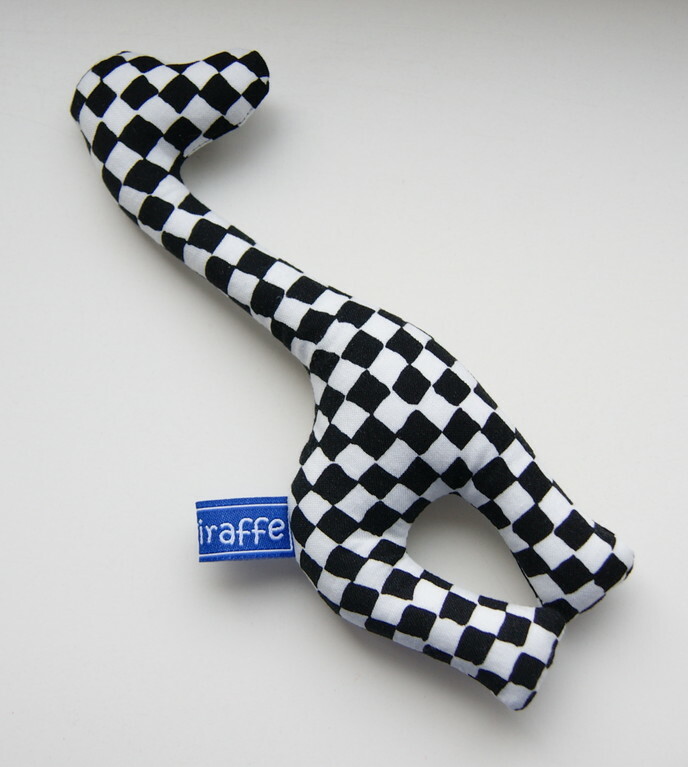 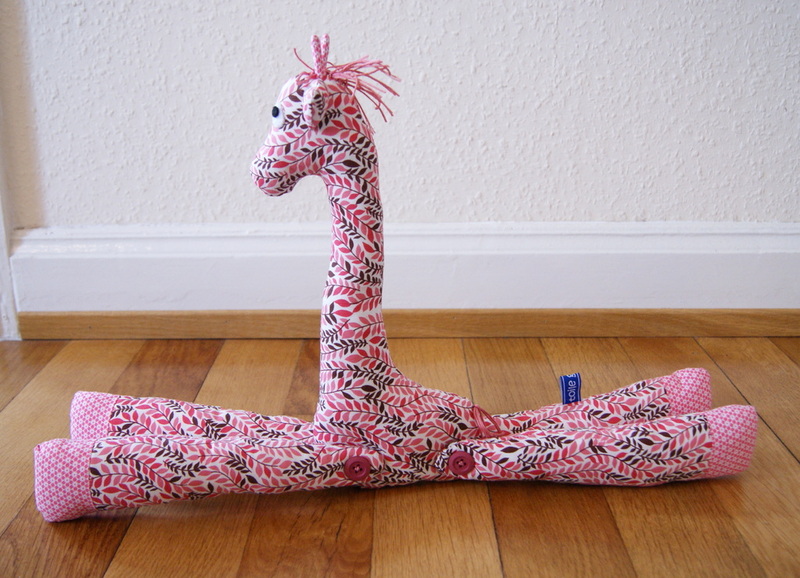 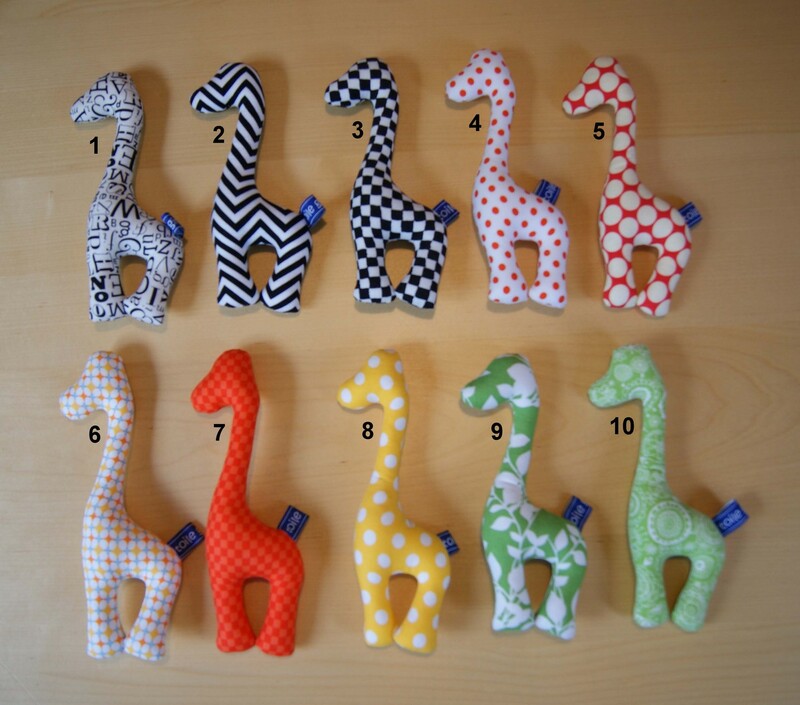 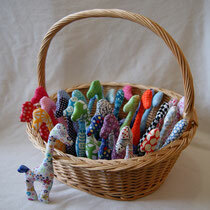 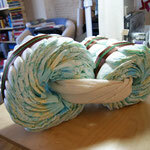 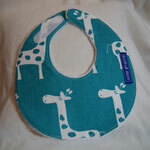 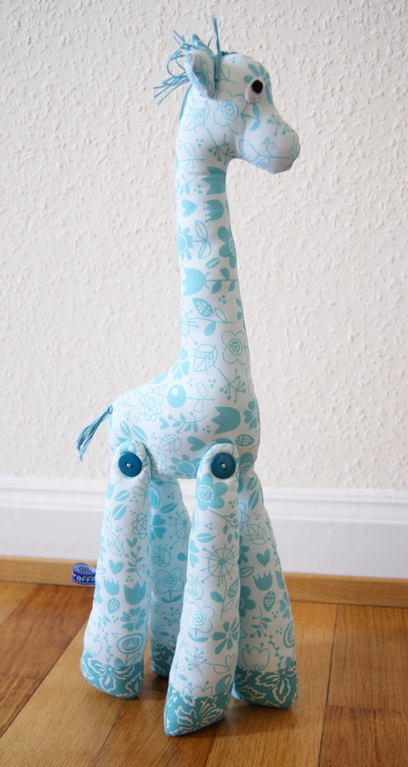 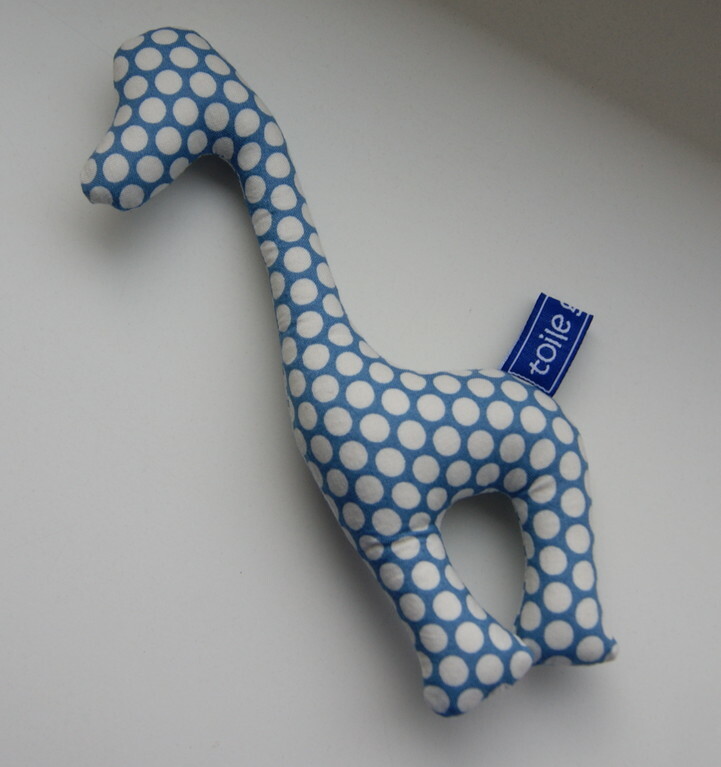 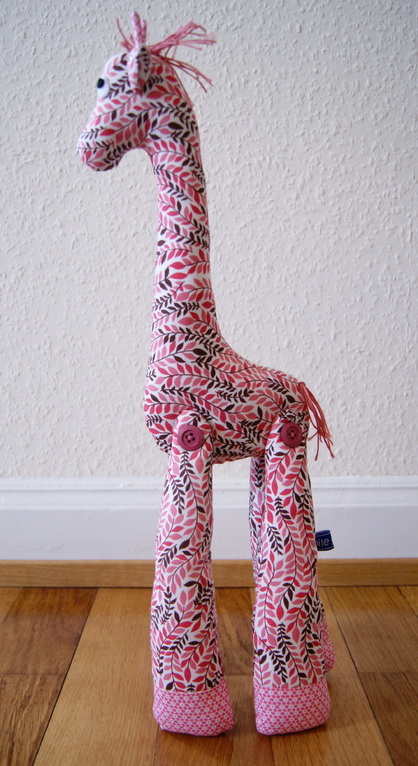 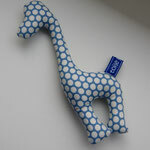 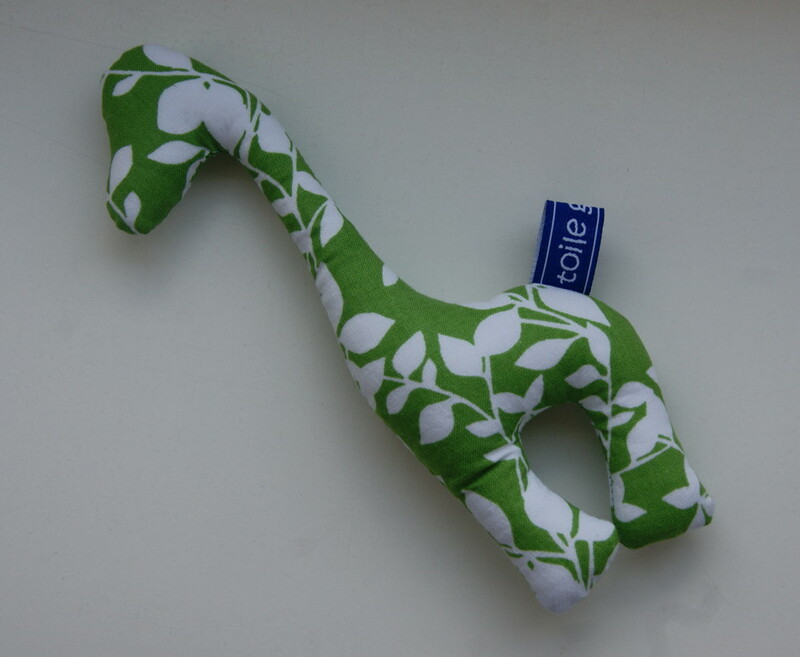 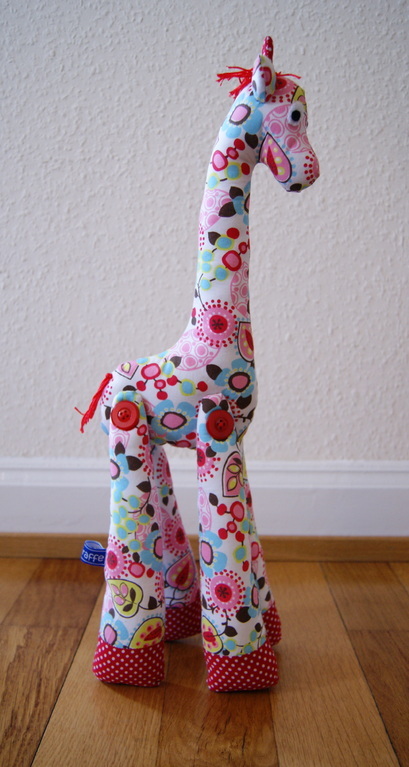 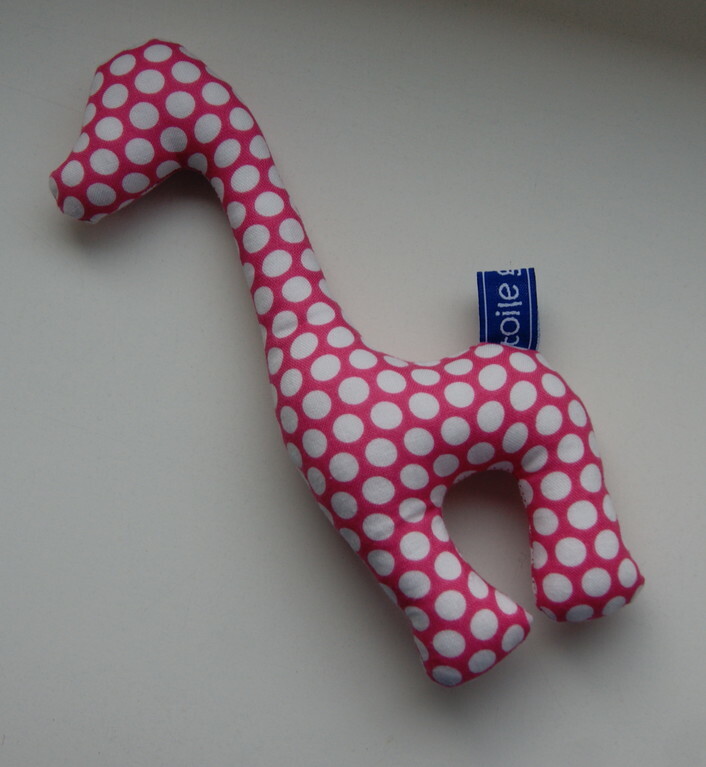 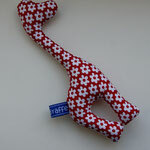 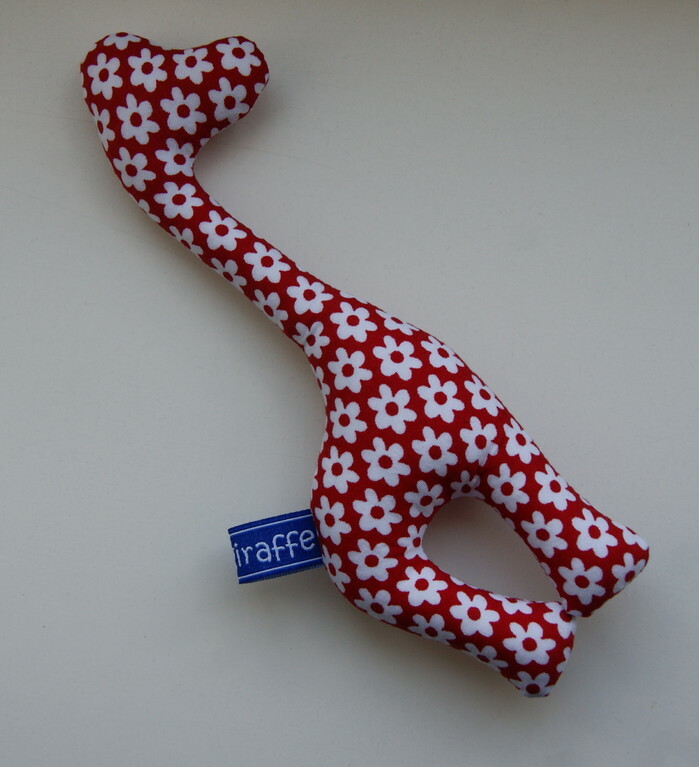 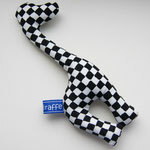 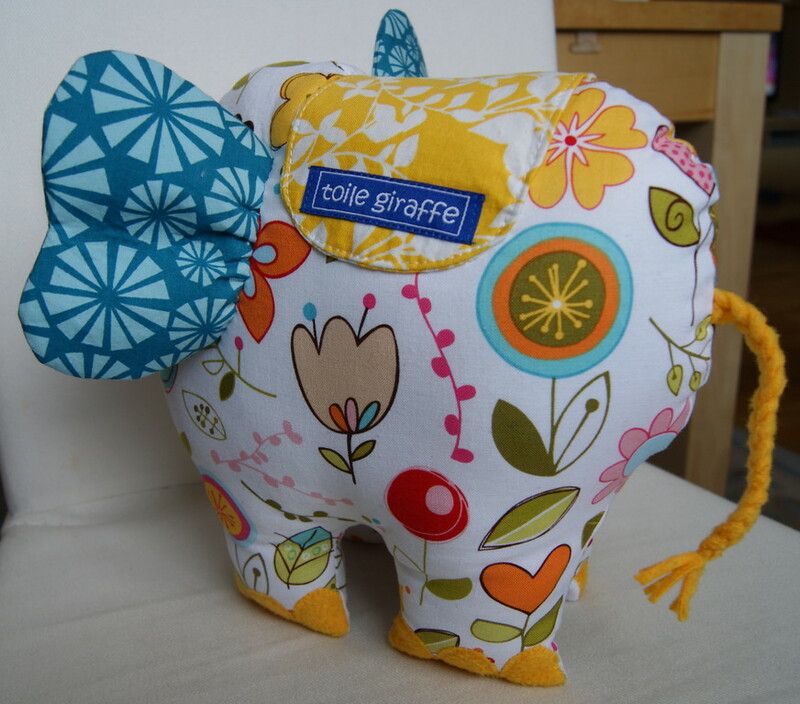 New giraffe softies in the shop! 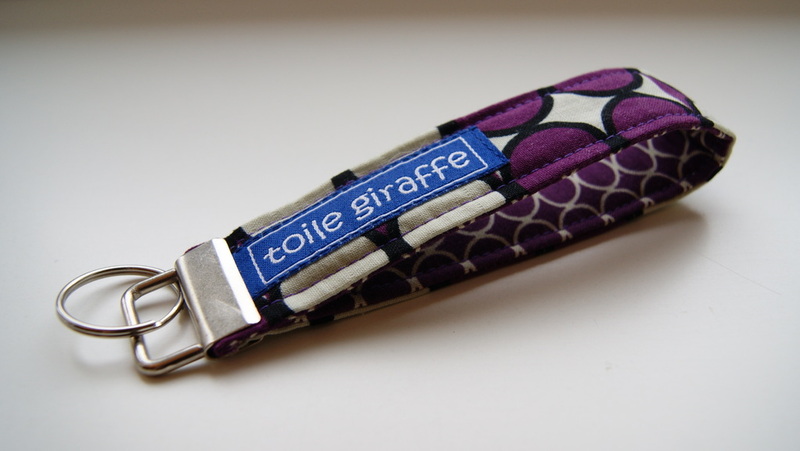 New key chain straps in the shop! 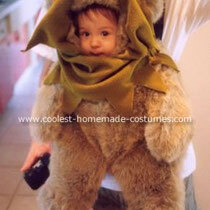 Oh...wow! 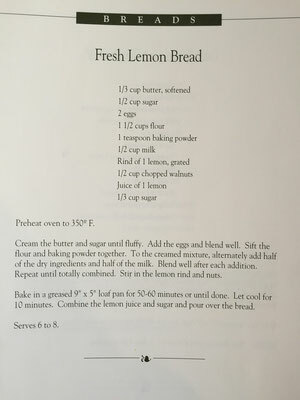 Click on the picture to see more. 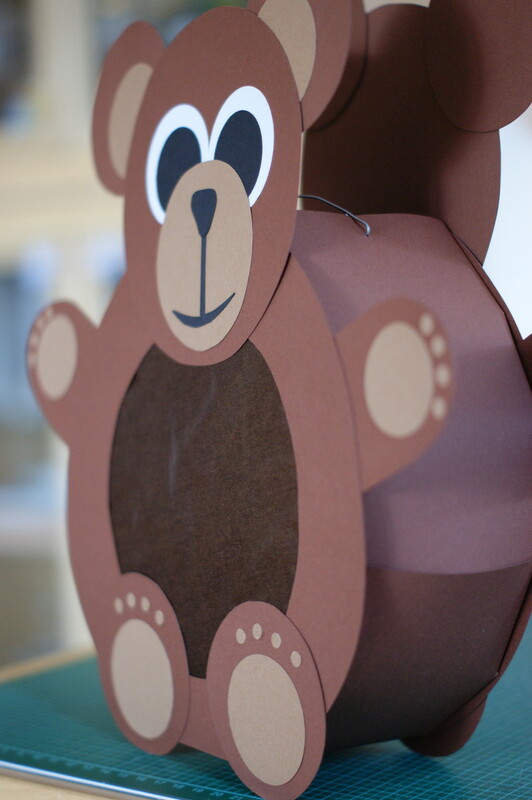 Have you heard of Glossybox? 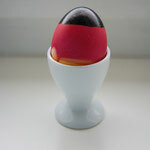 You sign up and they send you a beautiful box of new beauty products to try out every month! 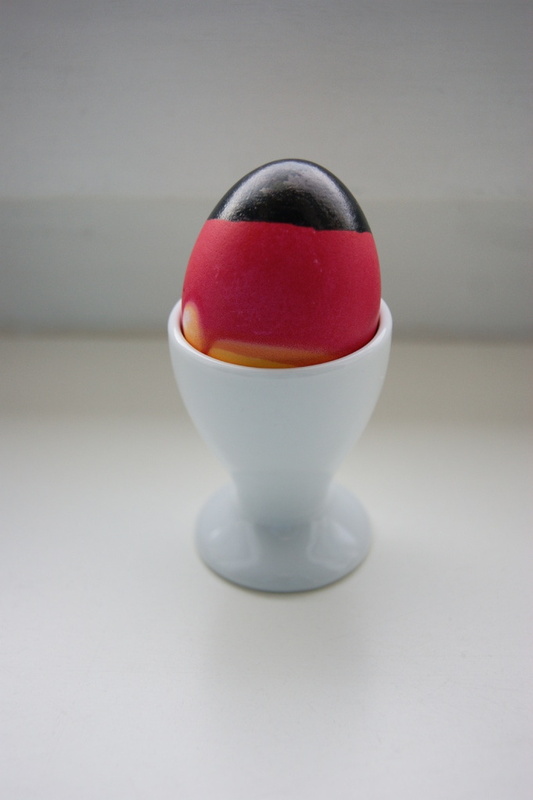 I tried it out last month and it's actually pretty good, even for the non-beauty-product-obsessed. 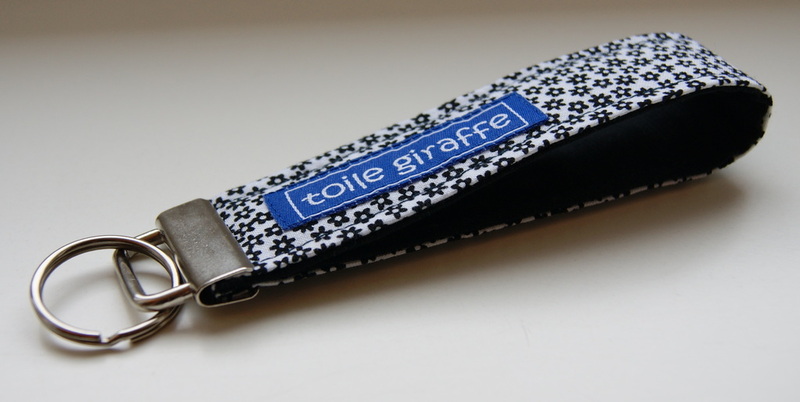 The best part is, it's available in a whole bunch of countries! 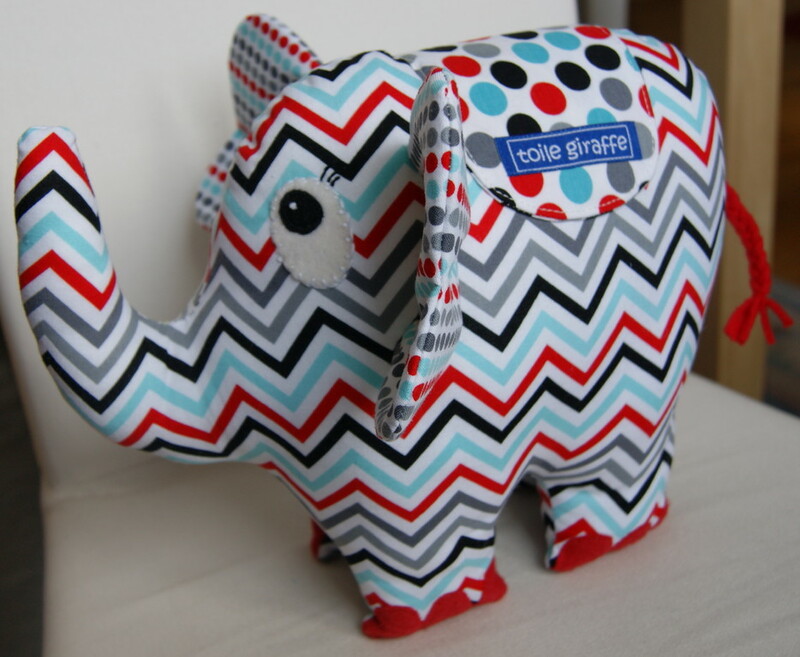 I have a lot of friends who are expecting or new parents and I'm always on the look out for good gifts, so I was very excited to find Glossybox's pregnant cousin, petiteBox. 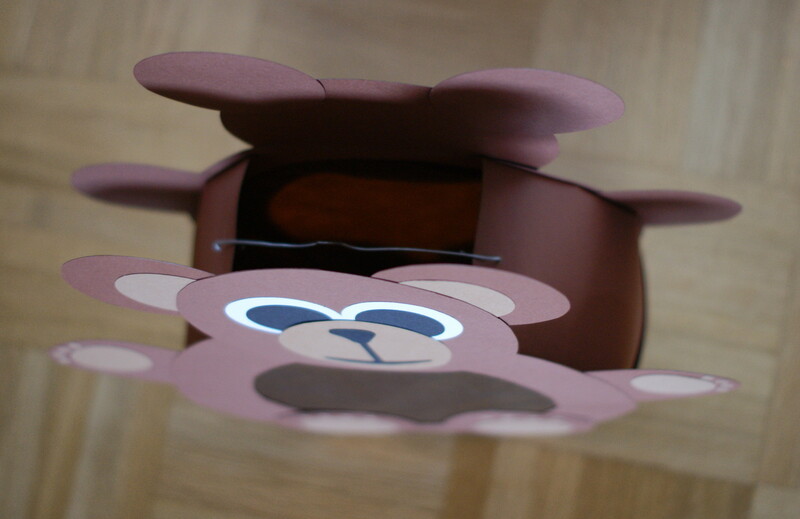 It's a German site running on the same concept as Glossybox, but everything is focused on pregnancy and newborns. 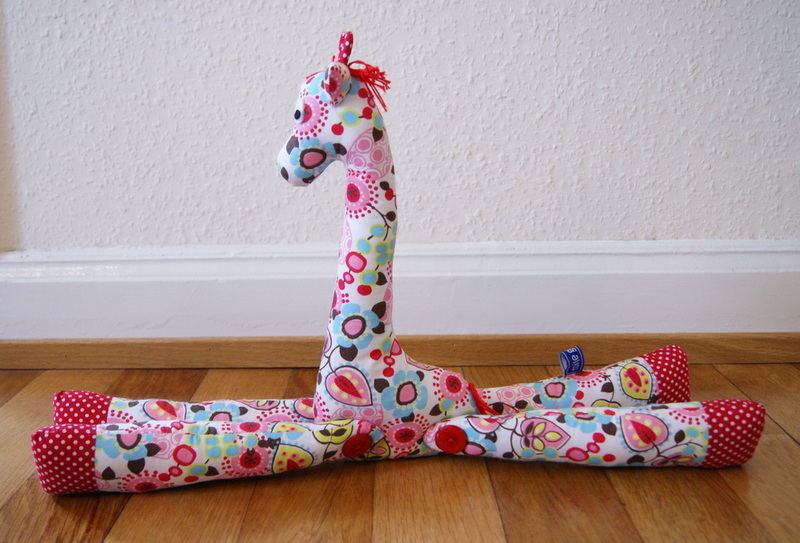 What a fabulous gift! Just got home from Stoffmarkt Holland, a traveling outdoor fabric market which comes to town twice a year. 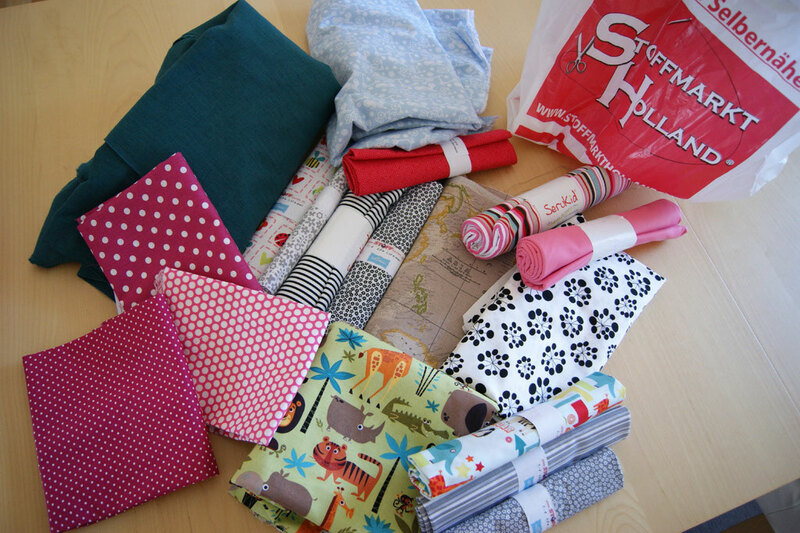 We braved the crowds, were stepped on, elbowed and shoved, but came home with some great finds. 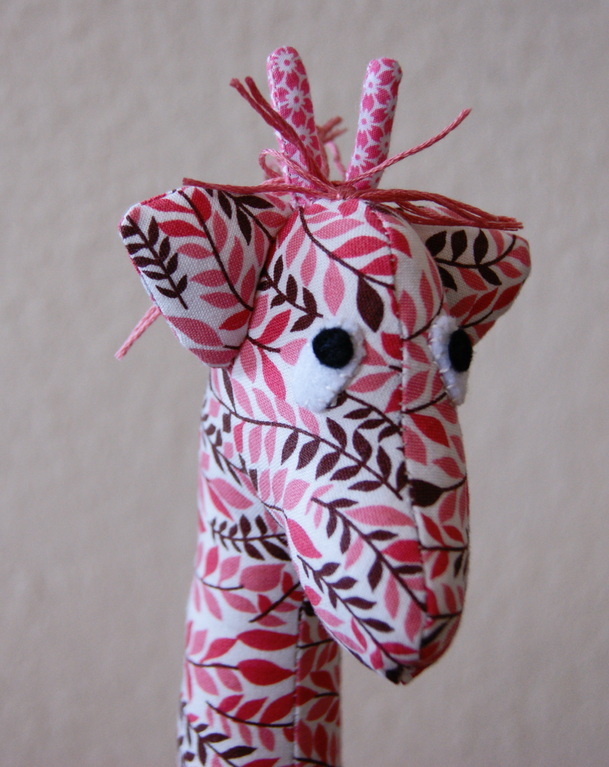 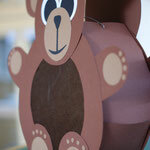 Do you know of any good places to get crafty supplies? 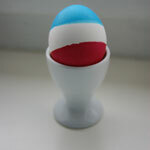 The pickings are slim in Saarbrücken, so I rely pretty heavily on the internet. 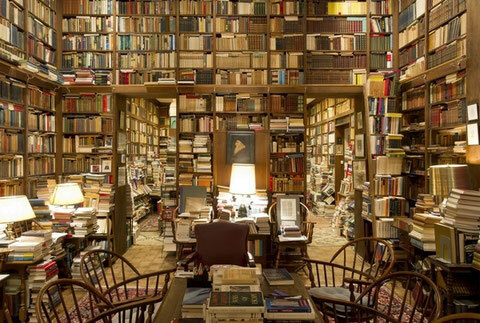 Tips are always welcome! 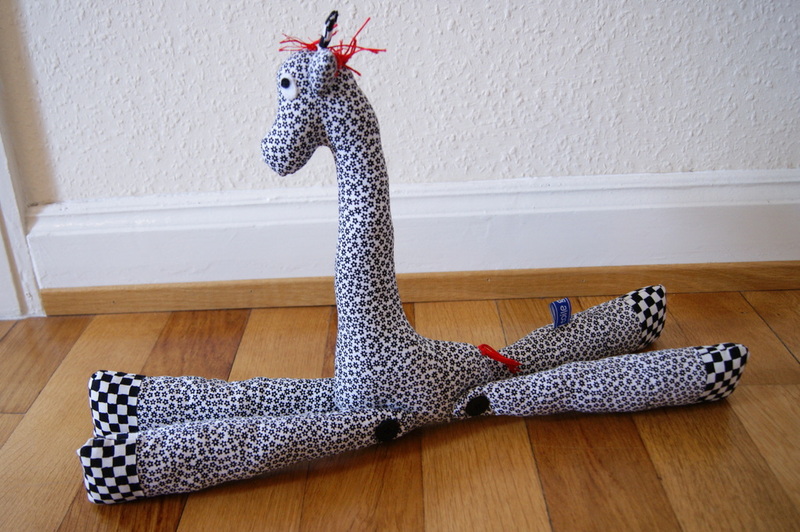 I'm off to lay everything out in the living room and let my imagination take over! 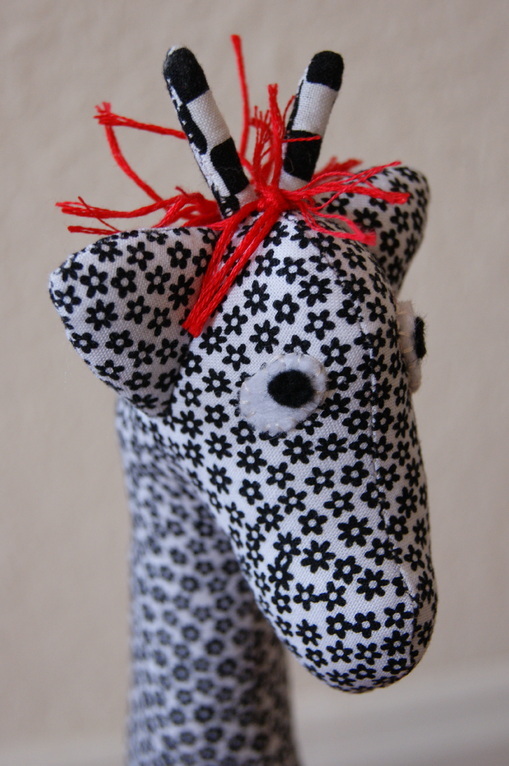 Celebrating design and creativity of all kinds!